I am an obsessive rewriter, doing one draft and then another and then another, usually five. In a way, I have nothing to say, but a great deal to add (italics mine). Plato and Aristotle in a detail of The School of Athens, a fresco by Raffaello Sanzio da Urbino (Raphael) in the Vatican. Aristotle is on the right, gesturing toward the earth, indicating that knowledge arises from the study of things, whereas Plato, on the left, gestures toward the heavens, indicating that knowledge is discovery of Forms that exist in an ideal, disembodied world, independent of humans (italics mine). 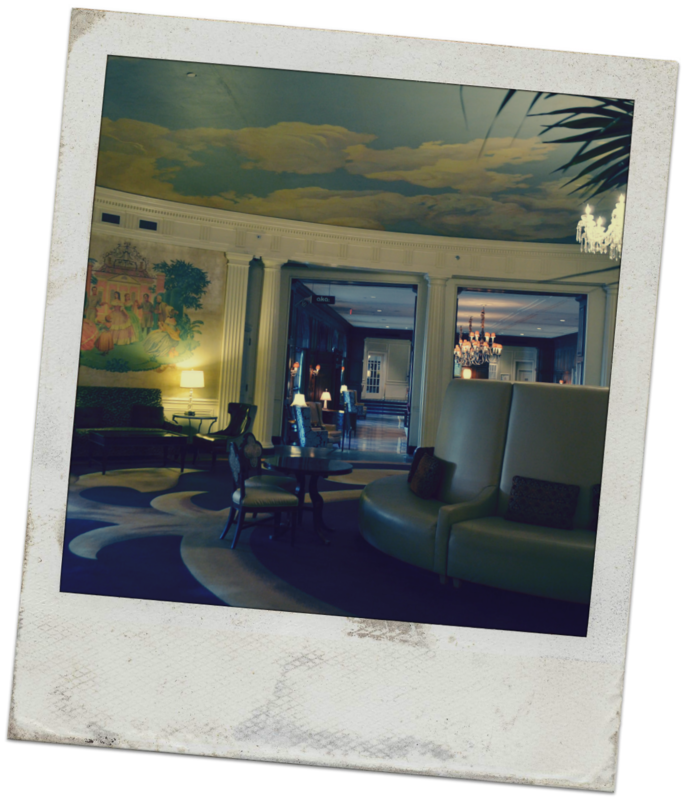 Pang Of Conscience Leads Blogger To A Disclosure! Even if the essay you end up with has serious faults, they’re likely to seem pardonable. Most readers will forgive much when they encounter prose that breathes feeling and conviction. Why? They so rarely encounter it (italics mine). 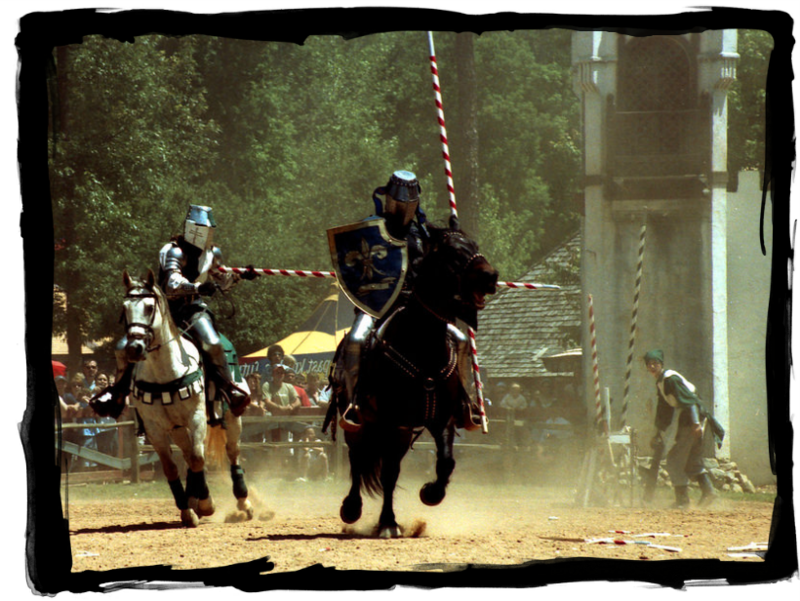 And far be it from me to stand in your way, especially since I’m the designated tour guide! 1. 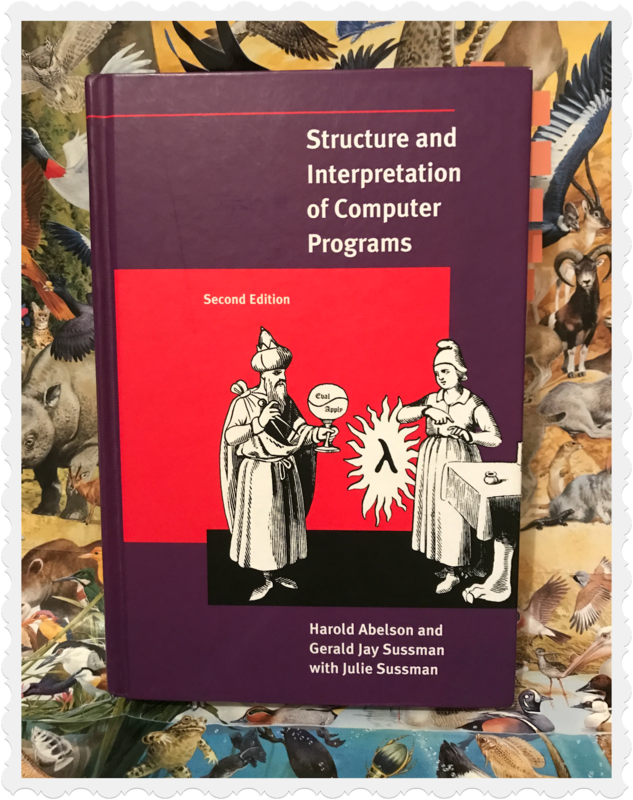 Structure and Interpretation of Computer Programs, Second Edition (The MIT Press) by Harold Abelson, Gerald Jay Sussman, and Julie Sussman. Although determinism can help predict how a system will evolve in time, I will show in section 10.2 that even a deterministic model may not predict future behavior well. It may be foiled by a phenomenon called chaos; by complexity, where it simply becomes impractical to compute the predictions; or even more simply by an accumulation of error. In such cases, nondeterministic models may become valuable. 2. 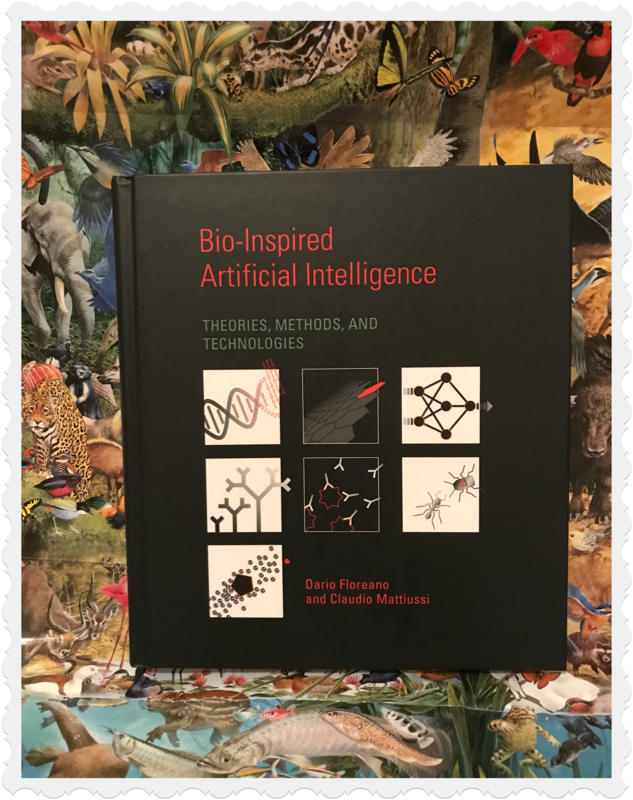 Bio-Inspired Artificial Intelligence: Theories, Methods, and Technologies (The MIT Press) by Dario Floreano and Claudio Mattiussi. 🌰 In a nutshell: You’ll be hard pressed to find a more comprehensive introduction to the latest approaches in artificial intelligence (AI) and robotics which are inspired by self-organizing biological processes and structures. Think Alan Kay and his ground-breaking, pioneering work that laid the foundations of object-oriented programming. This book does for AI and robotics what Kay did for object-orientation. Though it reads a bit unevenly in places, there’s tons of good stuff between the covers of its pages! Engineers have an advantage over scientists when dealing with layers of models. Natural biological systems and wars and revolutions are givens in our world. Engineered systems are not. For engineered systems, the goal is not to explain them in terms of lower level phenomena. The goal instead is to design them using lower level phenomena. This different goal makes it much easier to exploit the transitivity of models. 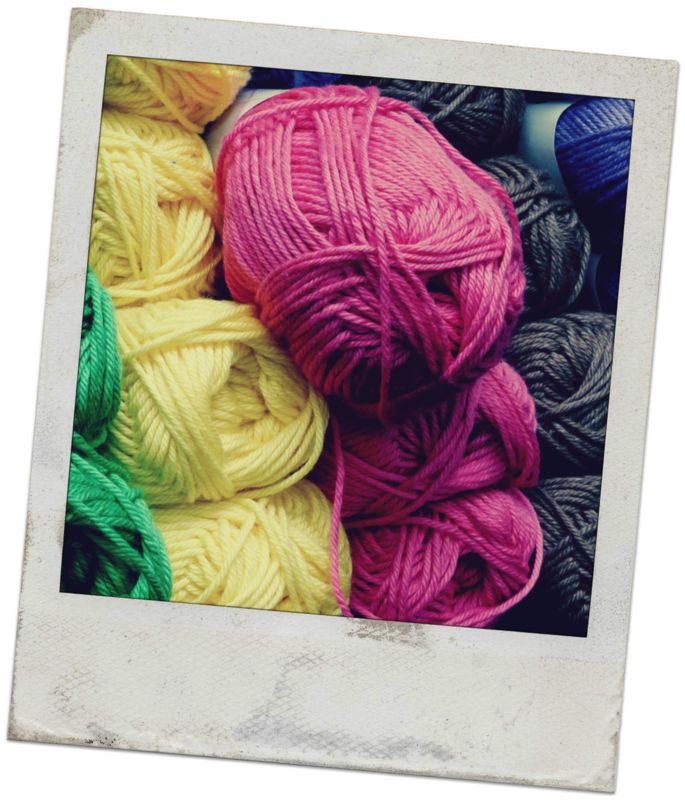 Consider synthetic biology, which is concerned with designing artificial biological systems. 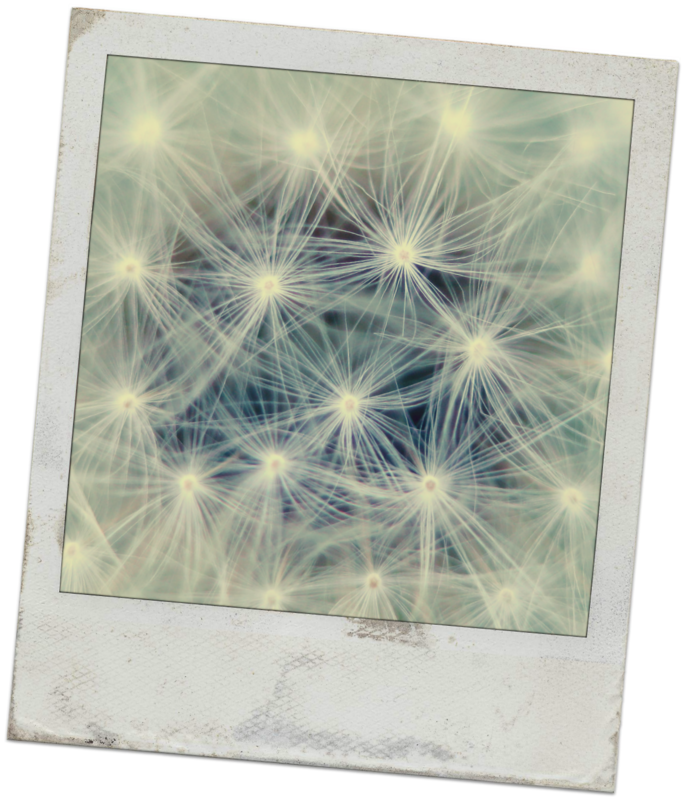 This field is less focused on explaining naturally occurring systems and more focused on leveraging natural biological pathways to synthesize new systems. In synthetic biology, researchers have embraced layered abstractions to great effect. Endy (2005), for example, argues for using predefined functional modules to create biological systems. Indeed, an engineering discipline such as synthetic biology can more readily use layered abstractions because the models need only to model the systems being created. The bioengineers choose the systems to be modeled, and they choose them in part because they can model them. To be effective, scientific models need to model the systems given to us by nature, which are much more numerous. And we can’t choose those. They are given. 🌰 In a nutshell: Let’s start with the innocent premise that humans are more than computers; and I’m not challenging the wherewithal of the premise in pointing to its innocence, though I also can’t help but think to John Milton’s epic poem Paradise Lost in which Milton literally rips through huge swathes of space and time in the remarkable telling of a story about mankind’s Fall and Restoration. To that, add how most cutting-edge research in the cognitive sciences is increasingly focused on the creative aspects of the mind. 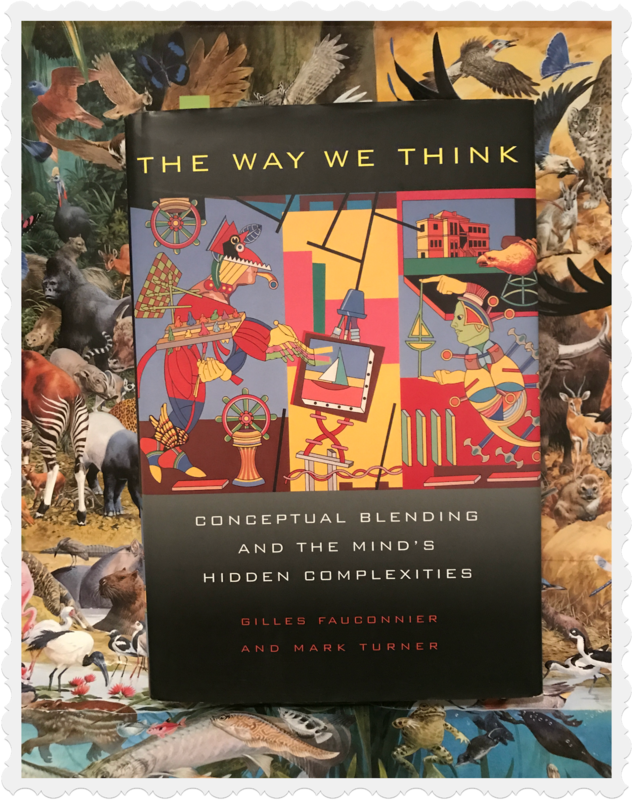 What that book—The Way We Think—does rather well is to synthesize a new direction to help the reader make sense of the confluence and convergence of the aforementioned strands of thinking. The result is a pretty readable theory of conceptual blending; the book does get longwinded in places but, all-in-all, it’s a worthwhile read. It provides an accessible new view of how the mind works. In the philosophy of mind, the multiple realizability thesis contends that a single mental kind (property, state, event) can be realized by many distinct physical kinds. Under this principle, mental states are not so much dependent on the hardware (the brain) in which they occur, in that other realizations of the same states would realize the same function. In other words, mental states are like software. Again, it is a stretch to conclude that these same states can be realized in a computer. This would require either that computers be universal information-processing machines or that the brain be limited to the same class of functions that computers can realize. It may seem that the thesis of multiple realizability is reinforced by the distinctly digital encoding in DNA. DNA uses a base-four encoding rather than binary, but it is still digital. A DNA molecule consists of a pair of strands of nucleotides, where each nucleotide consists of one of four nucleobases. The digital genetic code is used to synthesize each new human, and that human realizes cognition. Does this mean that cognition is digitally encoded? 4. 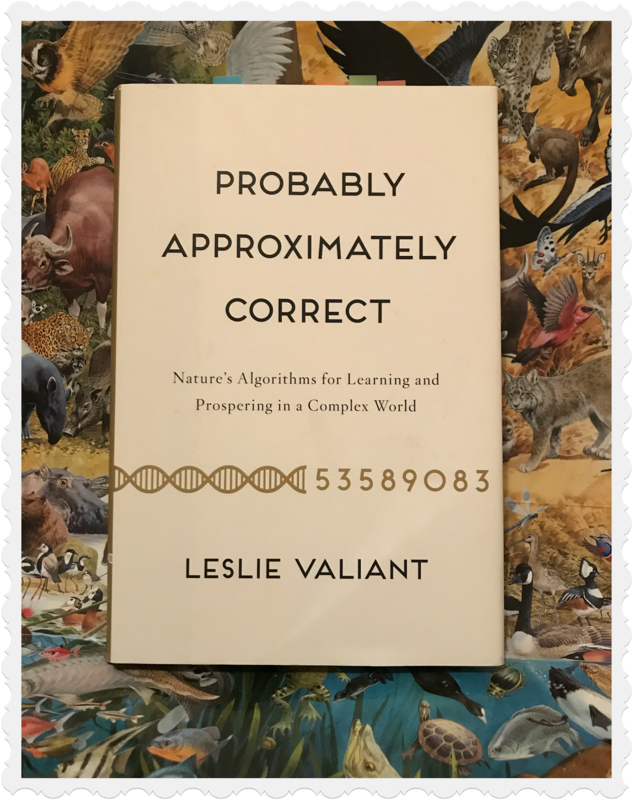 Probably Approximately Correct: Nature’s Algorithms for Learning and Prospering in a Complex World (Basic Books) by Leslie Valiant. 🌰 In a nutshell: Leslie Valiant is a renowned professor of computer science and applied mathematics at Harvard University. That impeccable background is reflected throughout Probably Approximately Correct: my impressions of this book are that it is tightly argued, backed up solid arguments, the narrative flows fairly smoothly, and everything is presented in an engaging, accessible manner. I liked it a lot, in fact. As an industry practitioner in the field of distributed computing, I was well-aware of Valiant’s work even before I read his book (Probably Approximately Correct). He is the inventor of the bulk synchronous parallel (BSP) model for designing parallel algorithms; interest in BSP has soared in recent years, with Google adopting it as a major technology for graph analytics at massive scale via technologies like Pregel and MapReduce. Interestingly enough, Valiant asserts that Darwin’s theory is utterly incomplete in that it’s unable to make quantitative predictions. He argues that the algorithms of computational learning theory will be the key players in evolution; that the intellectual progeny of Turing have merely gotten start with the great work of charting and fleshing out those algorithms. The license history of jQuery also reflects an ongoing passionate debate about the nature of open-source software…. But I digress again 💗 (it is hard to avoid… the background stories are really quite interesting). Let’s return to the subject of how to manage the vastness of possibilities that software offers. Software technologies emerge chaotically in a Darwinian ecosystem of ideas. Like a real Darwinian ecosystem, not everyone will agree on what makes one idea more “fit” than another idea, and survival depends more on the ability to propagate than on technical fitness. Promiscuity, personality, money, and culture have enormous, incomprehensible effects. 5. 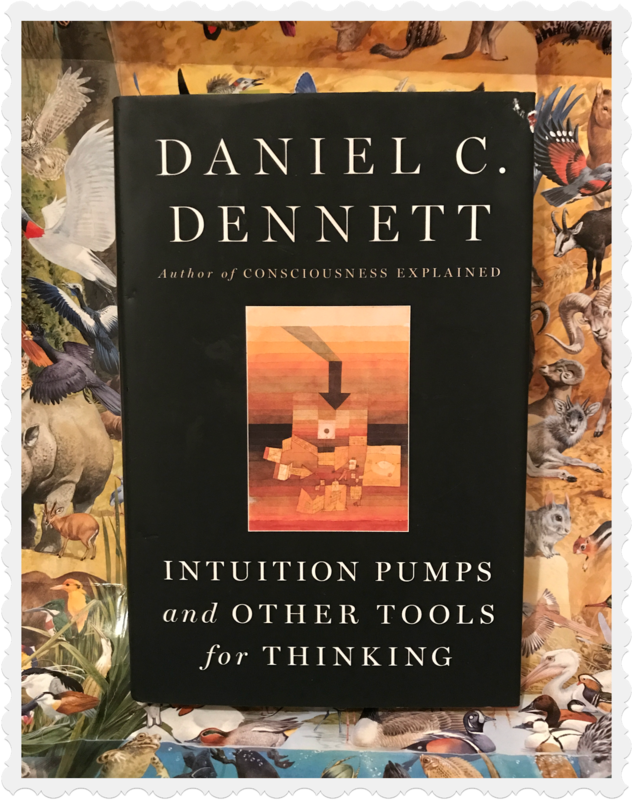 Intuition Pumps And Other Tools for Thinking (W. W. Norton & Company) by Daniel C. Dennett. 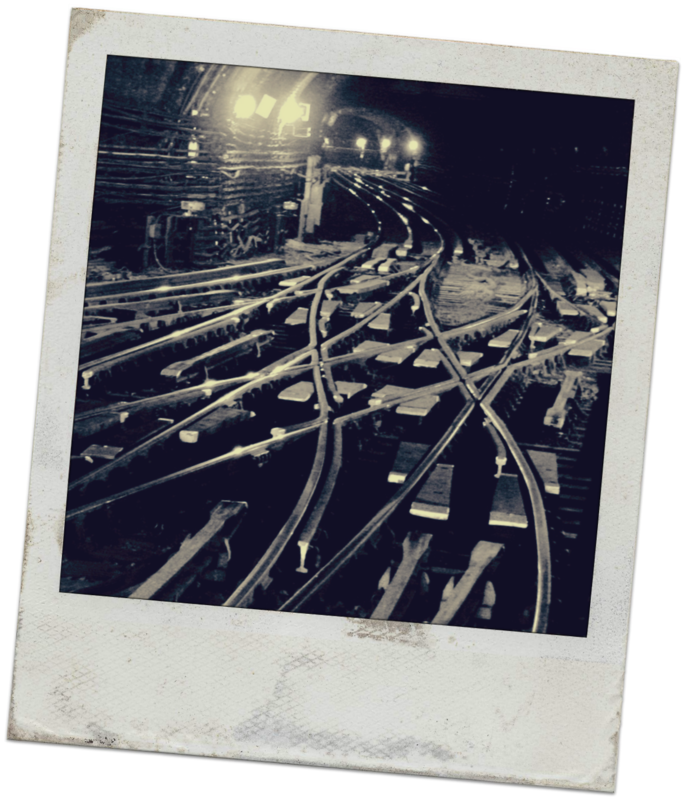 Because we can’t know everything, we need systematic ways to deal with uncertainty. In the next chapter, I will directly address how to model uncertainty with probabilities. Before we can do that, however, we need to address the question of whether uncertainty is caused by the limits of what we can know or some intrinsic randomness in the world or in our models of the world. Many of the mathematical models and computer programs that we construct are deterministic, which suggests that we should be able to know quite a bit about them unless they fall into the Turing and Gödel traps. Most computer programmers strive to avoid these traps, yielding understandable programs, and also to create deterministic programs. However, this notion of determinism is not a simple one. We can’t confront uncertainty without first confronting determinism. Determinism is a deceptively simple idea that has vexed thinkers for a long time. Broadly, determinism in the physical world is the principle that everything that happens is inevitable, preordained by some earlier state of the universe or by some deity. For centuries, philosophers have debated the implications of this principle, particularly insofar as it undermines the notion of free will. If the world is deterministic, then presumably we cannot be held individually accountable for our actions because they are preordained. 6. 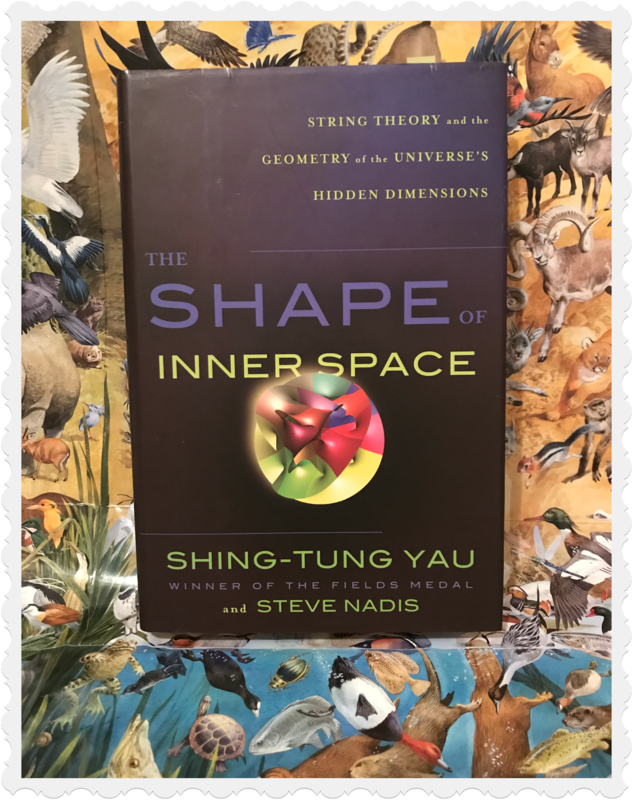 The Shape of Inner Space: String Theory and the Geometry of the Universe’s Hidden Dimensions (Basic Books) by Shing-Tung Yau. Smolin, L., 2006: Trouble with Physics: The Rise of String Theory, the Fall of a Science, and What Comes Next. Houghton Mifflin Company, Boston and New York. Basically, string theory claims that we live in a ten-dimensional universe—try that on for size—of which only four are accessible to our human senses. According to theorists, the missing six are curled up in bizarre structures known as Calabi-Yau manifolds. In The Shape of Inner Space, Shing-Tung Yau—Fields Medal winner and the man who mathematically proved that these manifolds do exist—argues that geometry is fundamental to understanding the very nature of our universe. It has been said about The Shape of Inner Space that it’ll change the way we consider the universe on both its grandest and smallest scales. 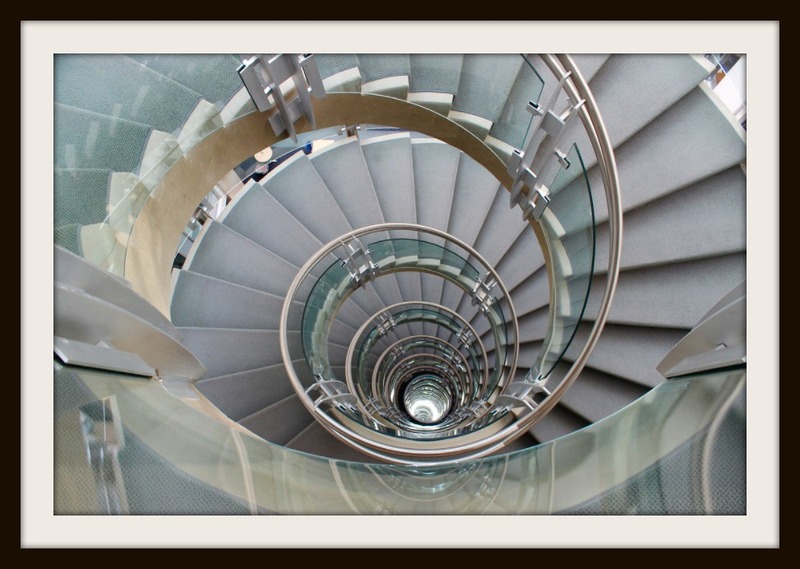 Space seems to similarly require a notion of a continuum. If I am standing at point x and I move to point y, do I pass through any points that are not in space? Do I move smoothly? Although my senses seem to indicate that I do, I cannot trust what my senses tell me when I am reasoning about time and space scales smaller than what my senses can perceive. Nevertheless, almost all of physics models space as a continuum. Of course, we can now go down the rabbit hole to debate what “smoothly” means, but I will instead rest on centuries of tradition in science, where time and space are nearly universally modeled as continuums. At a minimum, we have to concede that modeling time and space as continuums has proved to be a useful paradigm indeed. These are just models, of course, so as we faithfully avoid confusing the map and territory, we cannot assert the existence of continuums in the physical world just because they are useful as models. 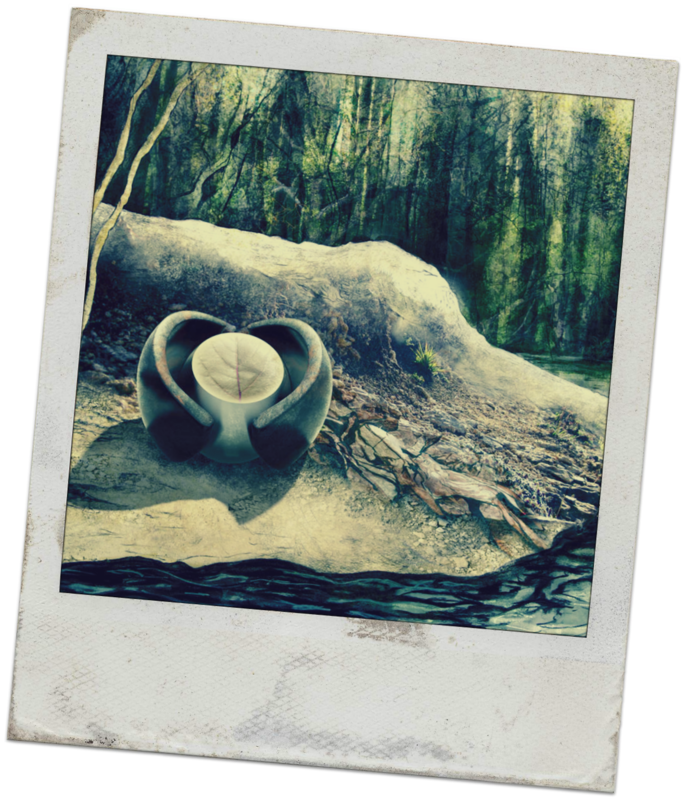 However, the reason that they are useful as models is that these models provide simpler explanations of the physical world than models that reject continuums. Applying the principle of Occam’s razor, attributed to William of Ockham (c. 1287–1347), an English Franciscan friar, scholastic philosopher, and theologian, when there are competing hypotheses, other things being equal, we should choose the simpler one. 7. 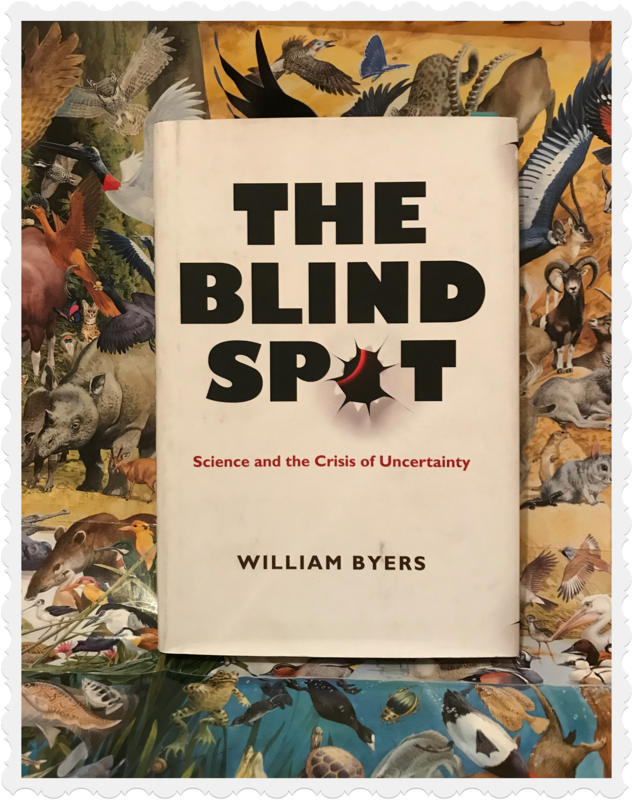 The Blind Spot: Science and the Crisis of Uncertainty (Princeton University Press) by William Byers. The title of this book comes from the wonderful book by Nassim Nicholas Taleb, The Black Swan (Taleb, 2010), who titled a section of the prologue “Plato and the Nerd.” Taleb talks about “Platonicity” as “the desire to cut reality into crisp shapes.” Taleb laments the ensuing specialization and points out that such specialization blinds us to extraordinary events, which he calls “black swans.” Following Taleb, a theme of my book is that technical disciplines are also vulnerable to excessive specialization; each speciality unwittingly adopts paradigms that turn the speciality into a slow-moving culture that resists rather than promotes innovation. But more fundamentally, the title puts into opposition the notion that knowledge, and hence technology, consists of Platonic Ideals that exist independent of humans and is discovered by humans, and an opposing notion that humans create rather than discover knowledge and technology. The nerd in the title is a creative force, subjective and even quirky, and not an objective miner of preexisting truths (italics mine). 8. 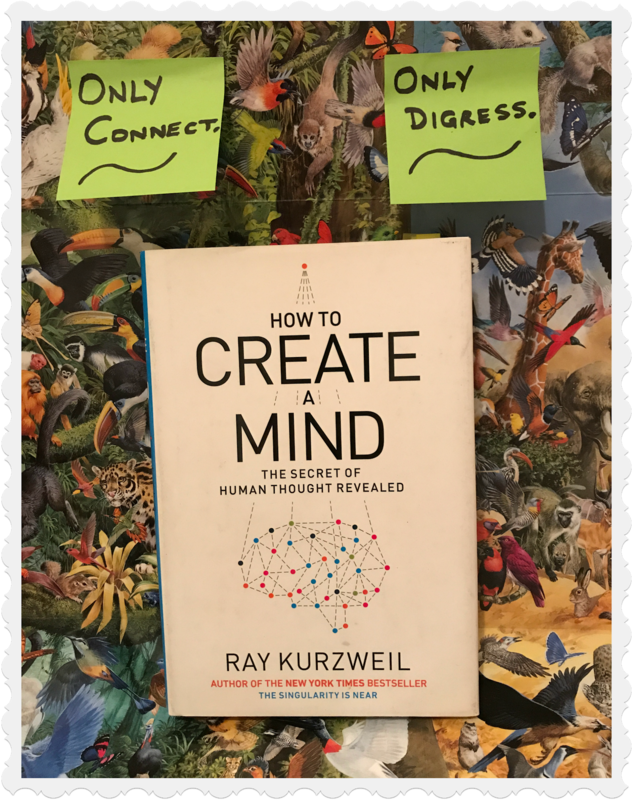 How to Create a Mind: The Secret of Human Thought Revealed (Penguin Books) by Ray Kurzweil. 🌰 In a nutshell: Futurist Ray Kurzweil has a fairly witty and engaging narrative going in this book which is all about how the brain functions, how the mind emerges from the brain, and, most importantly for its thesis, the implications of vastly increasing the powers of our intelligence in addressing the world’s problems. Let’s turn our attention to intelligence. First, let me point out that anthropomorphizing computers is not only unjustified by the technology (chapter 9) but is also unreasonable. 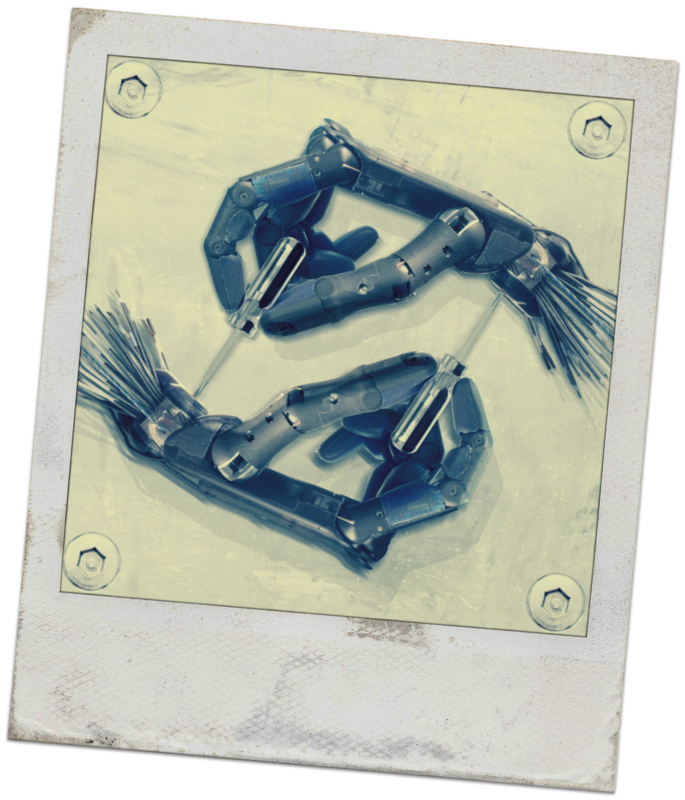 It is simply not true that we want our machines to exhibit human-like behavior. I really do not want to have to argue with my car about getting to school on time. It’s hard enough to have that argument with my daughter. Consider a Google search of the web. Does Google attempt to give human-like answers? Not really, thankfully. Instead, Google finds answers written by humans that are likely to be helpful. Try asking Google, “What is the meaning of life?” When I did this just now (May 29, 2016), the first hit on the list of possibly helpful pages is a link to a wonderful Wikipedia page on the subject. That page even includes a discussion of the answer “42” to this question (see footnote on page 84). Google is brokering for me the collective intelligence of humans. In my opinion, this does not in any way replace human intelligence. Quite the contrary, it augments human intelligence. I’m quite sure it makes me smarter because I have a really poor memory, and it improves the ability of humans to communicate with one another by democratizing publication. Everyone has a voice. 9. 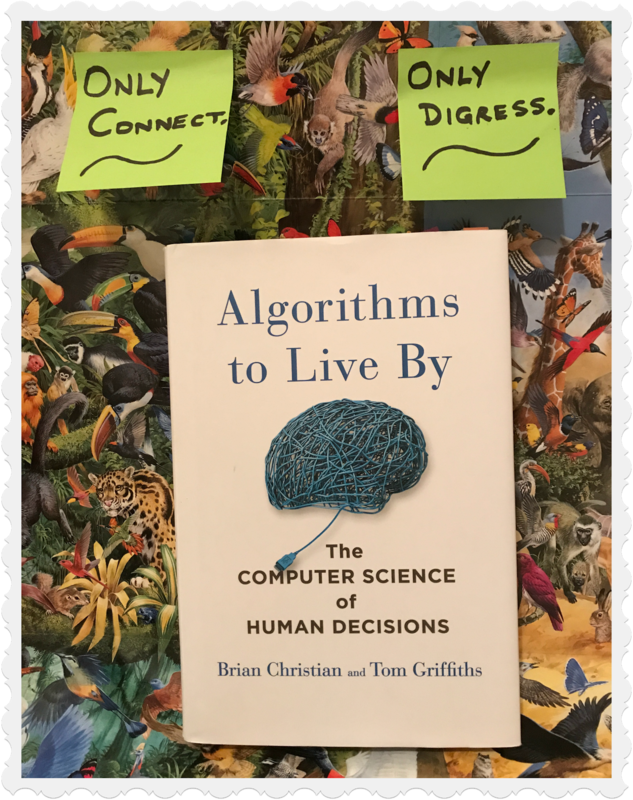 Algorithms to Live By: The Computer Science of Human Decisions (Henry Holt and Co.) by Brian Christian and Tom Griffiths. 🌰 In a nutshell: So this is an addictively readable book about cognitive science, but with a twist; it’s cognitive science as viewed through the lens of computer science. 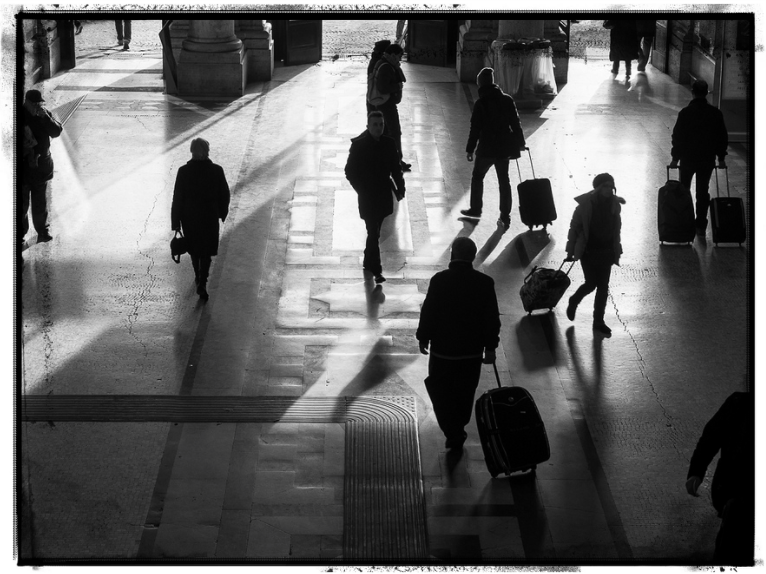 It’s all about deploying algorithms in our daily living for solving situations that we routinely deal with—perhaps all-too-routinely and typically when we’re in auto-pilot mode—as we go about our personal lives. In the words of its authors, “Talking about algorithms for human lives might seem like an odd juxtaposition… But an algorithm is just a finite sequence of steps used to solve a problem, and algorithms are much broader—and older by far—than the computer. Long before algorithms were ever used by machines, they were used by people.” Nicely put. In addition to being addictively readable, the book covers a wide swathes of topics, far too many than I could even try to begin summarizing. …It is ironic that many machine learning techniques used today, like those used in the vandalism detector of Wikipedia (see chapter 1), use Bayesian models. The irony is that machine learning algorithms are completely mechanized, operating without human intervention, and yet, according to Popper, they are subjective. It is hard to reconcile these observations. 10. 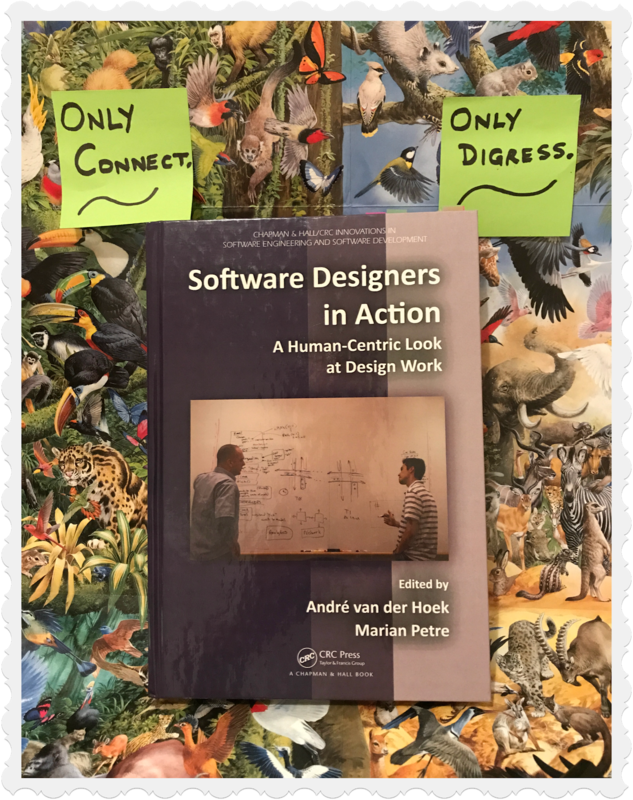 Software Designers in Action: A Human-Centric Look at Design Work (Chapman and Hall) by Marian Petre (Editor) and Andre Van Der Hoek (Editor). 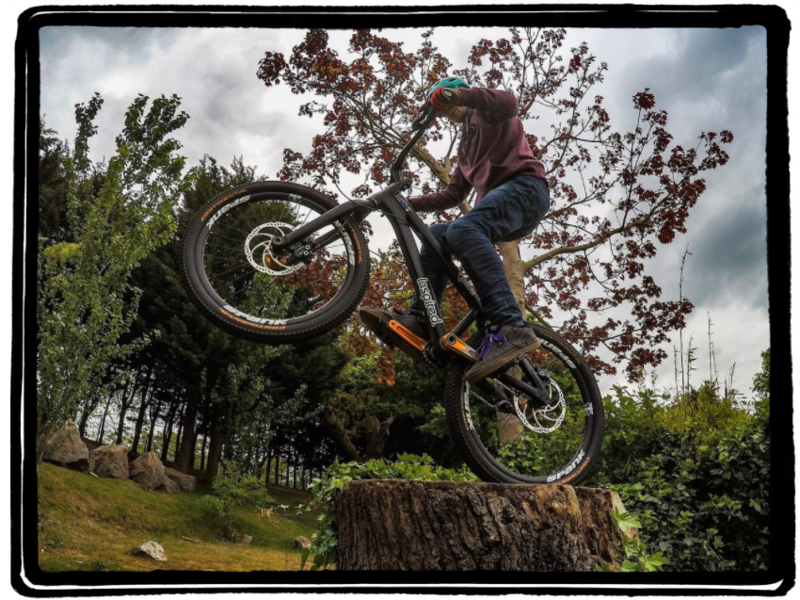 Simon says that design is about “changing existing situations into preferred ones.” But what do we mean by “preferred” situations? In political systems, this may be highly subjective. In engineered systems, it may be much more objective. A political leader may prefer a situation where all immigrants are kept out, even when there is no objective evidence that this makes anything better for anyone. Engineers, by contrast, are often called on to defend their preferences with objective measures, such as lower cost or reduced energy consumption. Simon’s “preferred situations” are open. But it is not uncommon in popular culture to assume that engineers primarily optimize preexisting designs. Question: What is the difference between an optimist, a pessimist, and an engineer? Answer: An optimist sees a glass half full. A pessimist sees a glass half empty. An engineer sees a glass that is twice as big as it needs to be. 11. 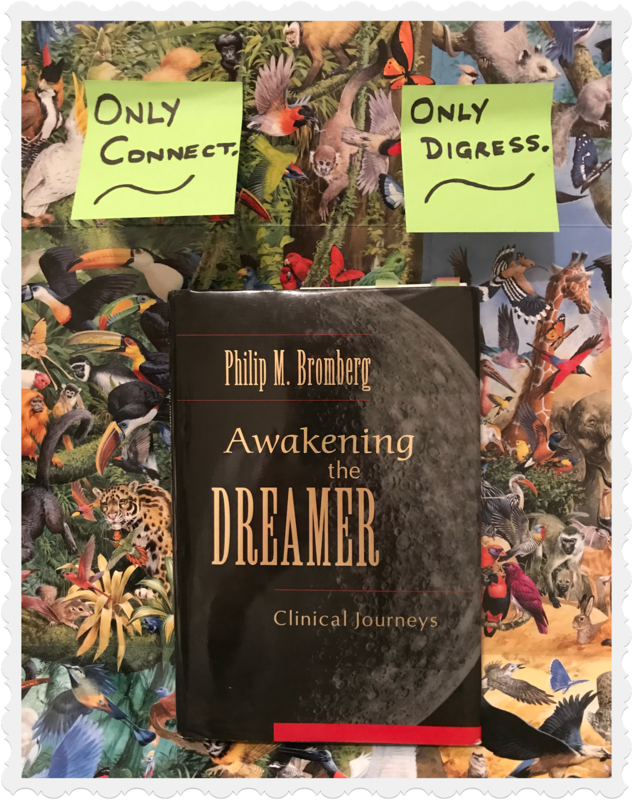 Awakening the Dreamer: Clinical Journeys (Routledge) by Philip M. Bromberg. This book is my attempt to explain why the process of creating technology, a process that we call engineering, is a deeply creative process, and how this explains why it has become so hot and competitive, making geeks out of the brightest young minds. The book is about the culture of technology, about both its power and its limitations, and about how the real power of technology stems from its partnership with humans. I like to think of the book as a popular philosophy of technology, but I doubt it will be very popular, and I am not sure I have the qualifications to write about philosophy. So really, the only guarantee I can make is that it is about technology and the engineers who create technology. And even then, it is limited to the part of technology that I understand best, specifically, the digital and information technology revolutions. 12. 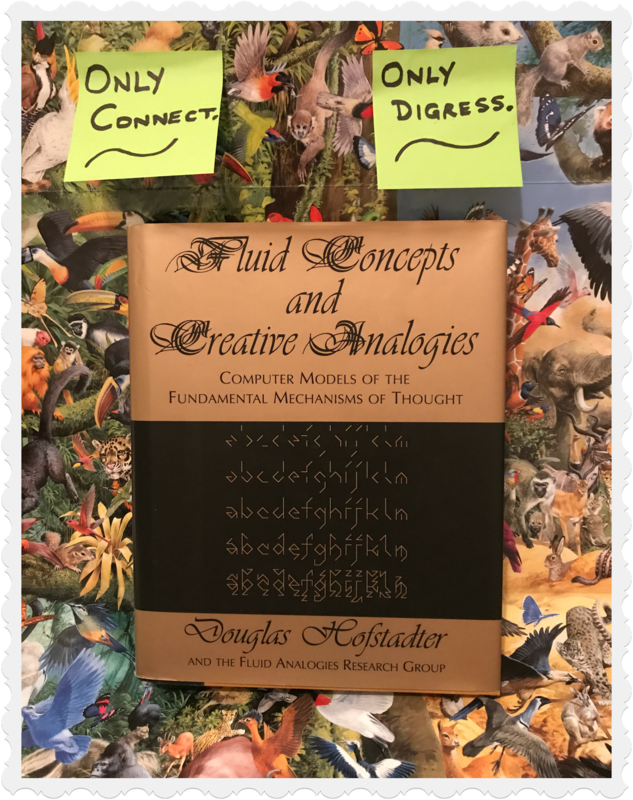 Fluid Concepts and Creative Analogies: Computer Models Of The Fundamental Mechanisms Of Thought (Basic Books) by Douglas R. Hofstadter. 🌰 In a nutshell: Very nice exploration of how artificial intelligence and machine learning commingle. This was not an easy book to read, but well worth it. Hofstadter and his colleagues preson a bunch of computer programs which slice-and-dice sequences, applying (regular expression-like) pattern-matching strategies. In the process, Hofstadter elevate the role of analogies to one of a creative enterprise. Pretty good stuff. An imperfect analogy might help the reader if the reader has not studied electricity. An electric current can be visualized as water flowing down a sluice or channel that is tilted. The degree of tilt is analogous to the voltage. The rate of water flow is analogous to the current. 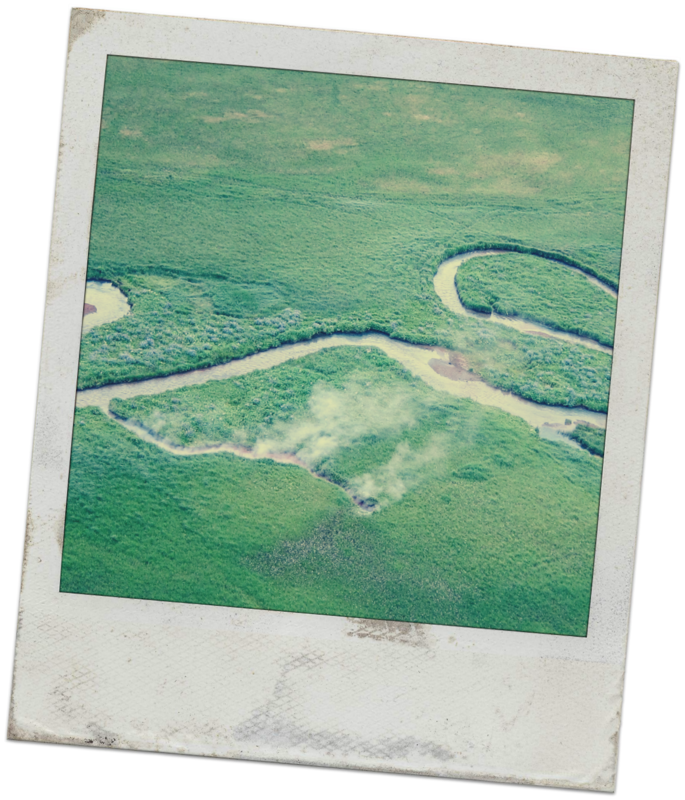 A smaller channel will have a higher resistance than a larger channel (the smaller channel lets through less water for a given tilt). Inductance is analogous to the tendency of water that is flowing to keep flowing (it has inertia). If water is flowing down a tilted sluice and you suddenly flatten the sluice, removing the tilt, the water will not instantly stop flowing. This analogy is imperfect for several reasons. Electric current does not have inertia, or at least not much, and inductance is a property of the channel not the current. But it nevertheless provides a nice visual analogy that can be used to get the basic idea (italics mine). 13. 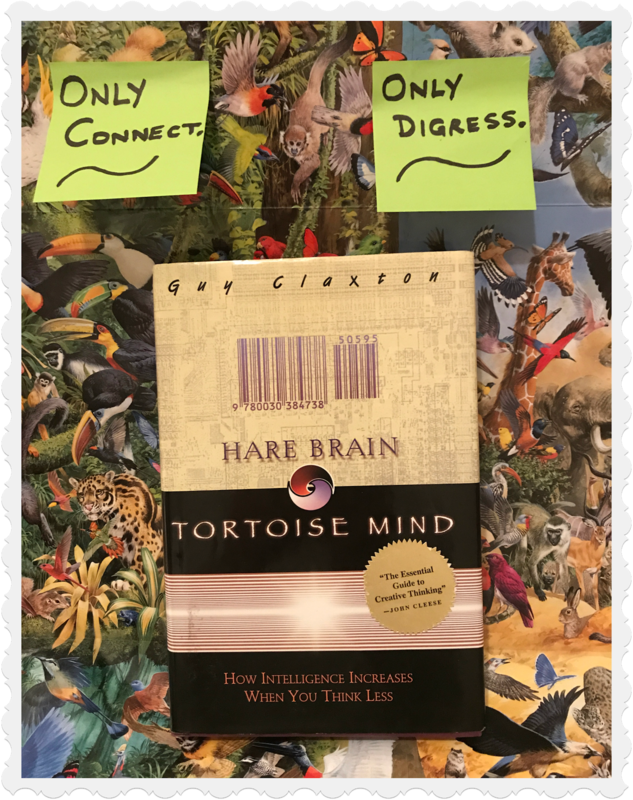 Hare Brain, Tortoise Mind: How Intelligence Increases When You Think Less (Harper Perennial) by Guy Claxton. 🌰 In a nutshell: The mere mention of this book makes me reflexively think of Malcom Gladwell’s Blink… If you’ve ever wondered whether it makes sense to place our trust in our unconscious, then this is the book to read. Enough said. …these laws of nature were understood one phenomenon at a time, as in Newton’s laws of motion governing a falling object. Connectedness fell victim to reductionism. The Slovenian philosopher Slavoj Žižek pointed out that Rumsfeld didn’t mention an obvious fourth category of knowledge, the “unknown knowns.” These are the things we know but don’t know that we know (italics mine). 14. 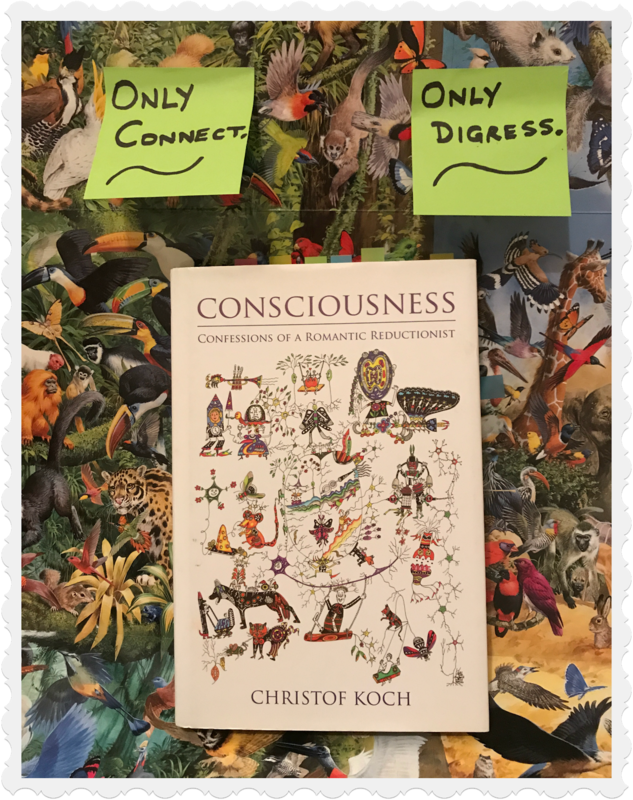 Consciousness: Confessions of a Romantic Reductionist (The MIT Press) by Christof Koch. 🌰 In a nutshell: Absolutely no-holds-barred book—to the point of being raw with emotions as experienced by a top-flight Caltech researcher and professor—that will grip your imagination though nowhere near what I experienced with Plato and the Nerd. Nonetheless, Consciousness: Confessions of a Romantic Reductionist a pretty darned good read altogether, well worth your while. Technology alone does not create a phenomenon such as Wikipedia. Any reductionist explanation of the phenomenon would be naive. In later chapters, I will argue that the failure of reductionism is fundamental and unavoidable in complex technology. 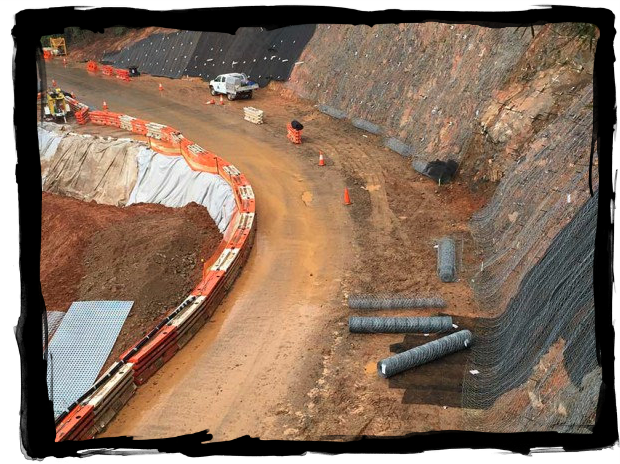 Notice that our layering need not stop at the top of figure 3.3. The software in Wikipedia is created within the modeling paradigms at the top of the figure, but in large part that technology is molded to support a sociological layer above it. But I am a nerd, and I don’t understand people, so I won’t try to extend my analysis to those sociological levels. I will leave that to the social scientists. 15. Burn Math Class: And Reinvent Mathematics for Yourself (Basic Books) by Jason Wilkes. 🌰 In a nutshell: I loved this book, just loved it. It’s nothing short of a manifesto for a mathematical revolution that is long-overdue. This is math as it should be; a joy, not a chore; a liberator, not a shackler;… The author has a terrific style and shoves into fire grate… Forget everything you’ve been taught about math. 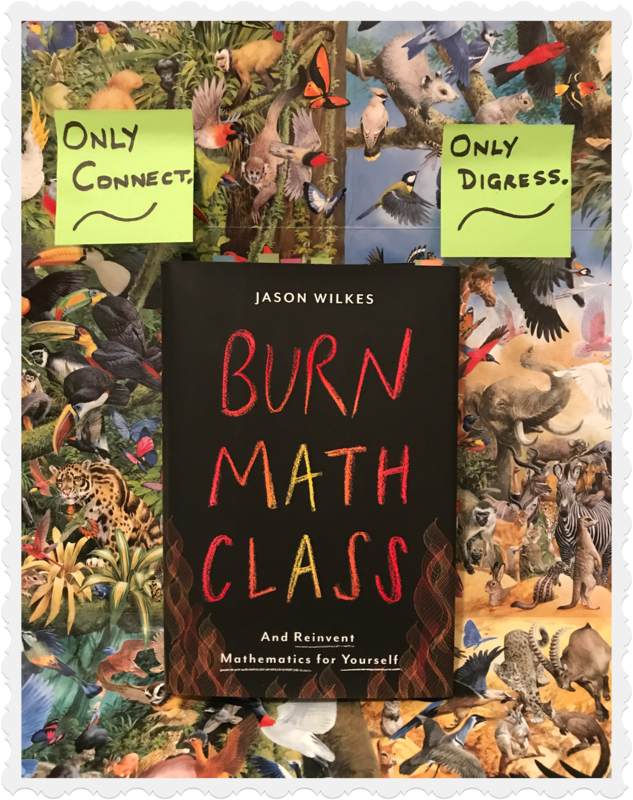 In Burn Math Class, Jason Wilkes takes the traditional approach to how we learn math–with its unwelcoming textbooks, unexplained rules, and authoritarian assertions-and sets it on fire. Popular perception of technology and engineering is often one of a dispassionate field dominated by logic and trading in colorless facts and truths. In chapter 1, I explore the idea of facts and truths in technology, showing that these are not just discovered but more often invented or designed. Rather than being built on timeless Platonic Ideals, technology is built on ideas that are more fluid and sometimes quirky. The notion of truth becomes more subjective; collective wisdom becomes better than individual wisdom; a narrative about how facts evolve becomes more interesting than the facts themselves; facts and truths may be wrong; and it can cost billions to show that facts are true. I then develop the idea that engineering and science, disciplines rooted in facts and truths, are complementary and overlapping, leveraging each others’ methodologies. In this chapter, I try to understand the cultural phenomenon that engineering has been considered the “kid sister” of science. 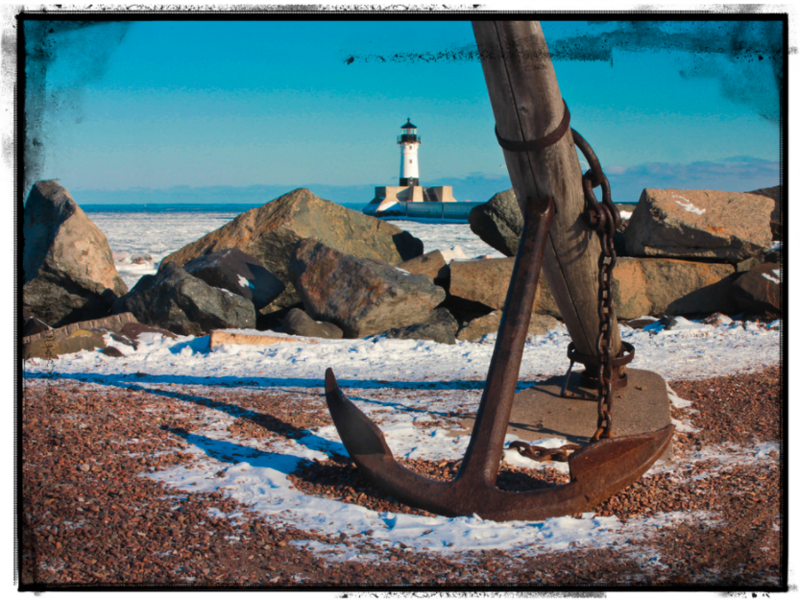 In chapter 2, I focus on the relationship between discovery and invention. A key theme of this chapter is that models are invented not discovered, and it is the usefulness of models, not their truth, that gives them value. 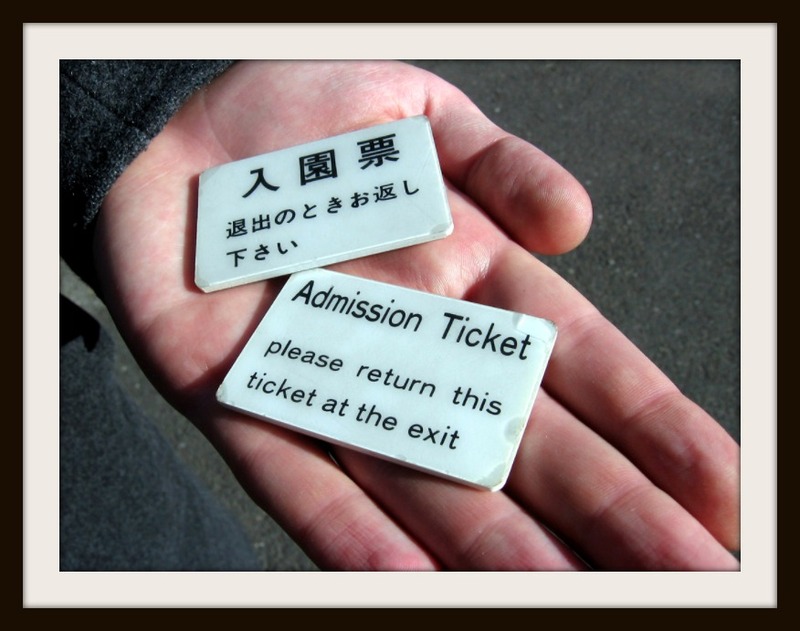 Note that the usefulness of a model need not be a practical, utilitarian sort of usefulness. A model may be useful simply because it explains or predicts observations, even if the phenomena observed have no practical application. 16. 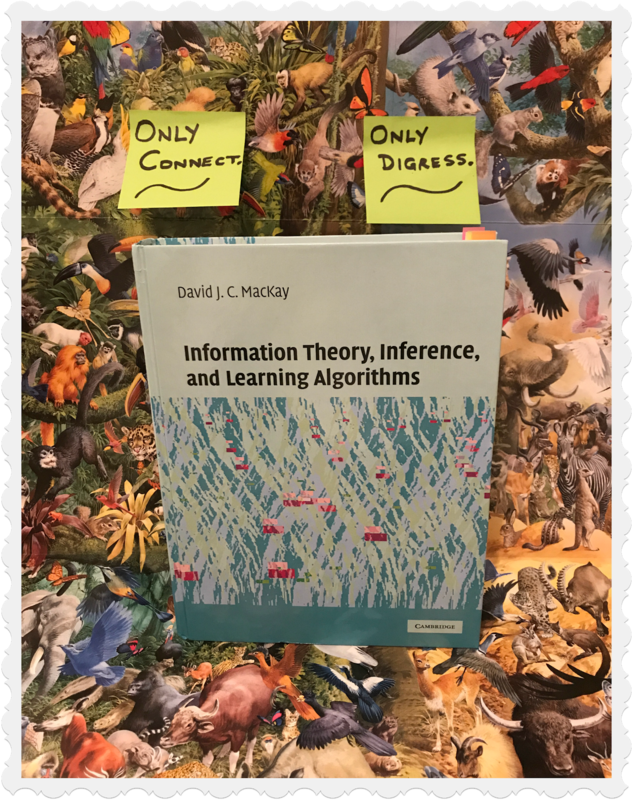 Information Theory, Inference and Learning Algorithms (Cambridge University Press) by David J. C. MacKay. Instead of giving you more detail on Gödel’s theorems, I would like to consider their implications for modeling and software. In Gödel’s formal languages, the set of all mathematical statements and the set of all proofs are countable sets, just like the set of all computer programs. Moreover, a “proof” in a formal language is a sequence of transformations of sentences, where each transformation is governed by a set of inference rules. This is conceptually close to what a computer does when it executes a program. In a computer, the sentences in the formal language are ultimately just sequences of bits, and the inference rules are the instructions in an instruction set architecture. This is not just theory. Extremely useful computer programs, called “theorem provers,” take as input an encoding of a sentence in a formal language and attempt to apply the inference rules of the language backward until the program transforms the bit pattern into one or more axioms. If the program succeeds, then the program has constructed a proof. Gödel and Turing both showed, in different ways, that no such program can always succeed. 17. 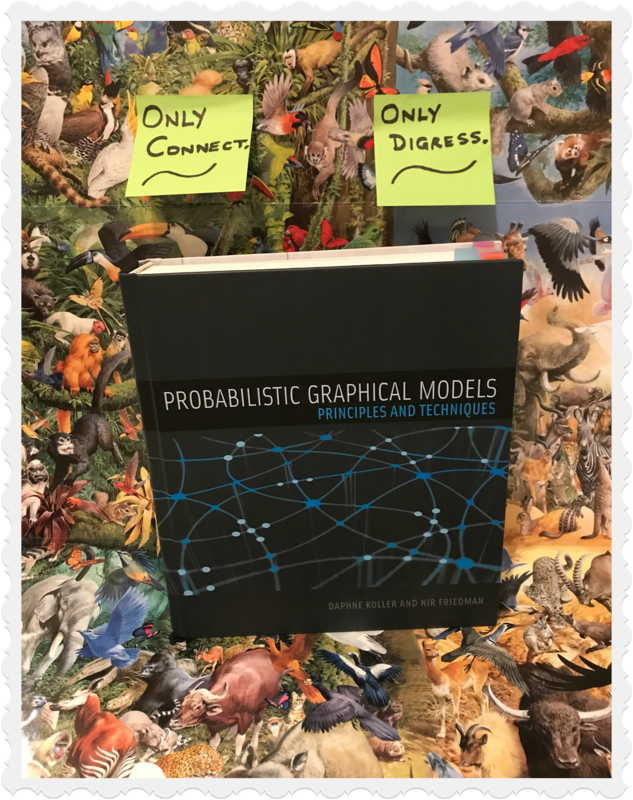 Probabilistic Graphical Models: Principles and Techniques (The MIT Press) by Daphne Koller and Nir Friedman. Science, technology, and engineering are all built on models. Models are artifacts in the conceptual framework of a paradigm. Newton’s second law, for example, is a model of the motion of an object subjected to a force. It takes the form of an equation, specifically equation (4096) on page 14, which has meaning in the paradigm of Newton’s and Leibniz’s calculus, the concept of force, and the Newtonian notion of time and space. If you studied physics in high school, you probably got brainwashed sufficiently that the concepts of force, time, and space are among your unknown knowns. But objectively, Newton gave no physical explanation for these concepts. Instead, he built a self-consistent and self-referential model where each of these concepts is defined in terms of the others, if defined at all. Every engineered design is similarly a model, which can be as simple as a prototype of a physical shape or as complex as a million lines of code. Each such model has a meaning, a semantics, only within some modeling paradigm. And the modeling paradigm is all too often an unknown known, never articulated or consciously chosen. I will attempt now to break the logjam that is created by failing to recognize these unknown knowns. 18. 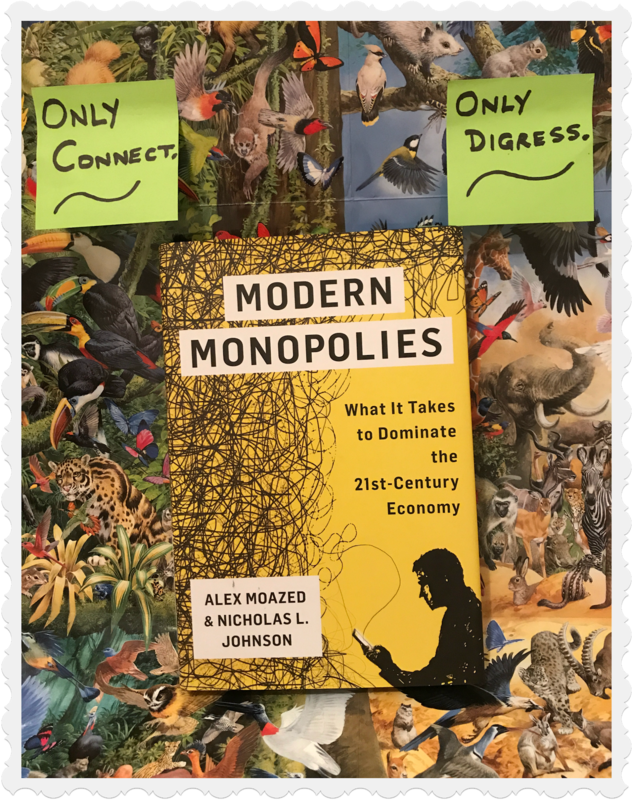 Modern Monopolies: What It Takes to Dominate the 21st Century Economy (St. Martin’s Press) by Alex Moazed and Nicholas L. Johnson. Two-sided marketplaces or platforms are tough to start and scale. Modern Monopolies brilliantly reveals the secrets of the startups that are scaling platform businesses. A must read for any serious entrepreneur or investor, as well as anyone interested in innovation. Modern Monopolies is a well-written book that ; ignore it at your own peril. Oh, and this is for you book aesthetes out there—I’m sure there are a bunch fellow book aesthetes out there, myself unabashedly being one—who not only commune with technology but also take pleasure in the reading experience: Modern Monopolies sports a bright yellow jacket to brighten your day. Did they dip it in fluorescent ink, did they really? The publishers sure used more than a few gallons—or liters for my European readers—of yellow ink to get this book out into the hands of readers. …The iPhone came about through a realization of what was possible with the technology of the time. But the real revolution was not replacing the phones of the time with better phones. 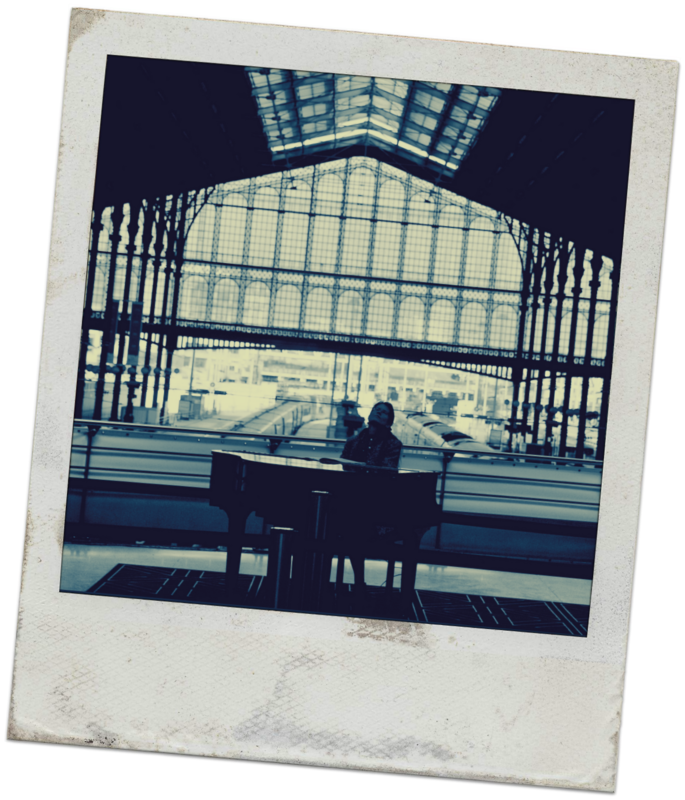 It was the introduction of a whole new platform, a new layer in the stack of layers of paradigms. Specifically, the real revolution was the introduction of the app development platform. With the introduction of the iPhone, Apple published the specifications that enabled millions of creative programmers around the world to develop applications for the phone and in 2008 launched the App Store to broker the sales of apps to customers (italics mine). 19. 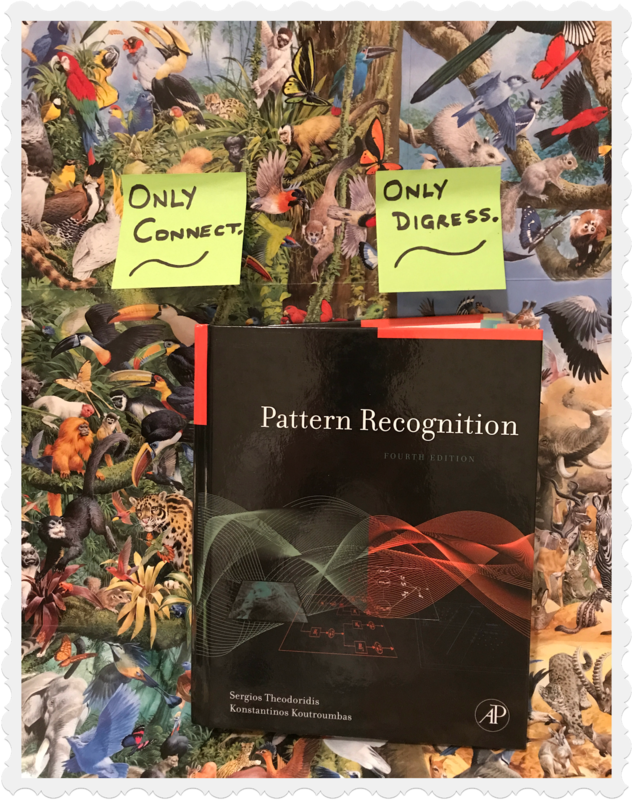 Pattern Recognition, Fourth Edition (Academic Press) by Sergios Theodoridis and Konstantinos Koutroumbas. 🌰 In a nutshell: Hands down the best—and a highly readable one at that—reference for pattern recognition, machine learning, and data mining. If the curse of dimensionality has been eating your lunch lately, I recommend that you give this book a look. Enough said. 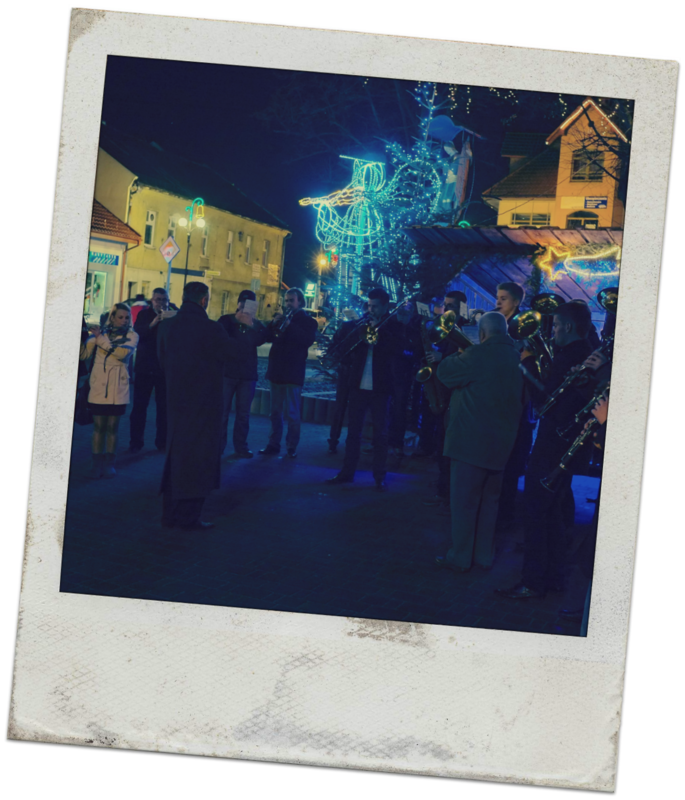 …Pseudorandom patterns were also used in a much more serious art work shown in figure 10.4, a light sculpture by the American artist Leo Villareal. 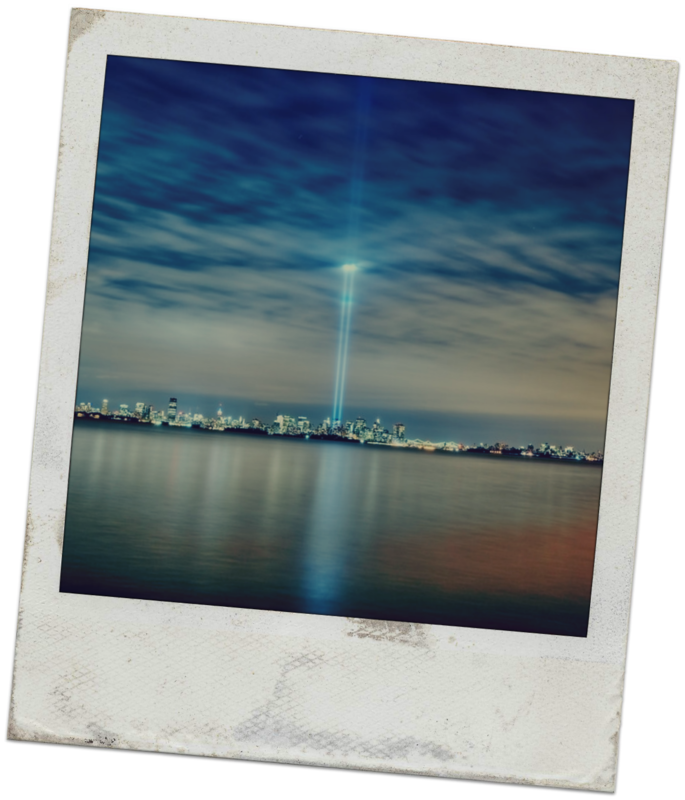 The sculpture consists of 25,000 LED lights installed in 2013 on the San Franscisco Bay Bridge. The lights are controlled by a computer to create patterns that were designed to never repeat during the entire intended two-year lifetime of the installation (italics mine). 20. 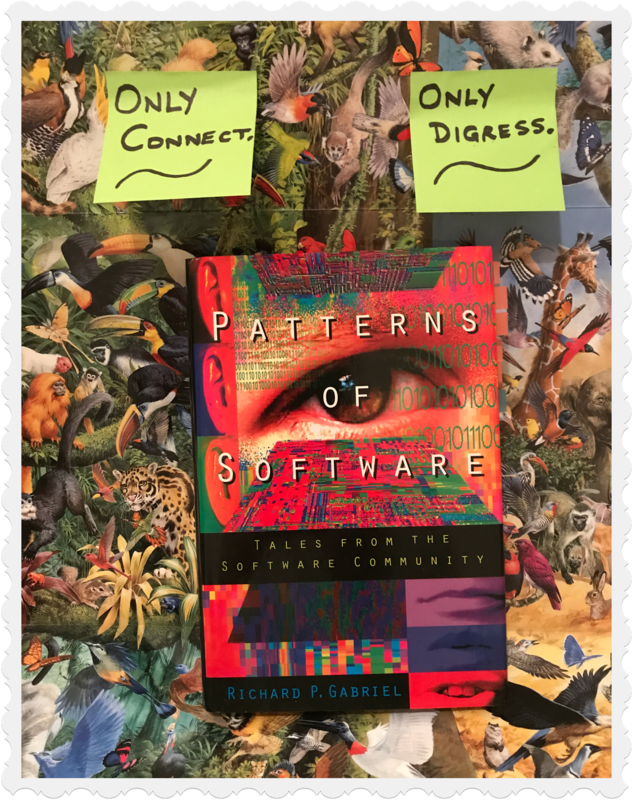 Patterns of Software: Tales from the Software Community (Oxford University Press) by Richard P. Gabriel. Perhaps the most interesting and enlightening section of the book is Gabriel’s detailed look at what he believes are the lessons that can be learned from architect Christopher Alexander, whose books–including the seminal A Pattern Language–have had a profound influence on the computer programming community. Gabriel illuminates some of Alexander’s key insights–“the quality without a name,” pattern languages, habitability, piecemeal growth–and reveals how these influential architectural ideas apply equally well to the construction of a computer program. …Hadoop forms an ecosystem of patterns and tools for the design of multiserver applications. 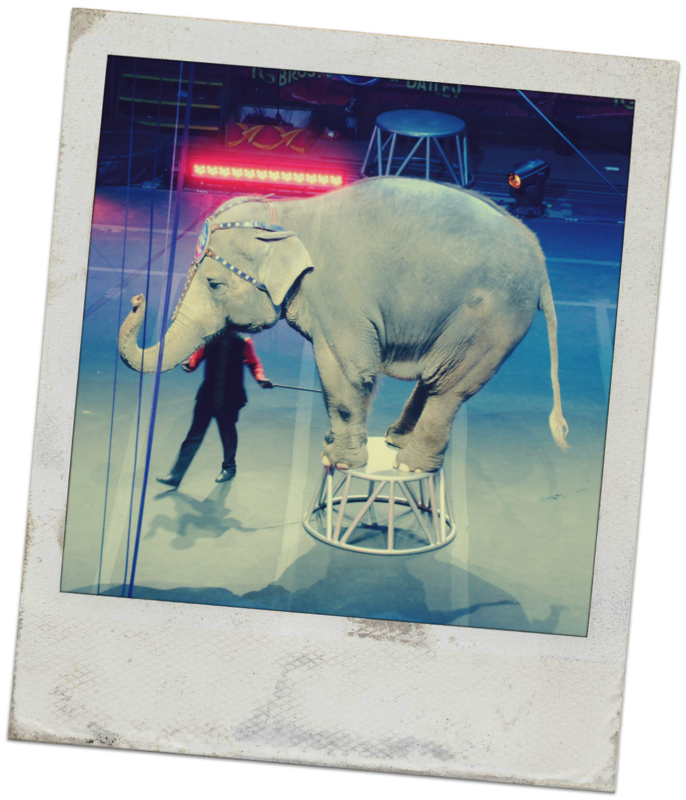 Like many of its competitors, Hadoop assumes that hardware failures are common because with millions of servers failure will occur. Hardware gets virtualized so that applications can move from machine to machine with minimal disruption. An application may even move from one machine to another machine of an entirely different type, emphasizing the disconnect between the software and the physics of the hardware. 21. 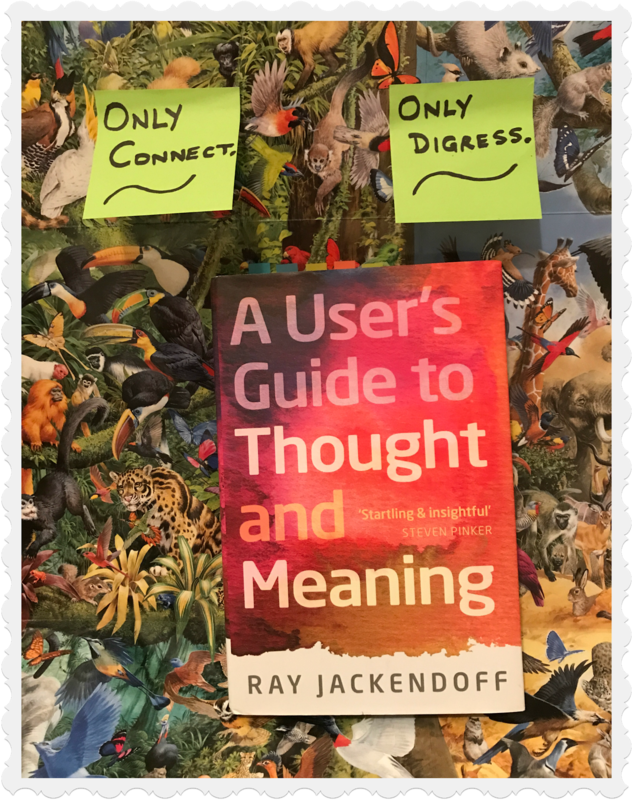 A User’s Guide to Thought and Meaning (Oxford University Press) by Ray Jackendoff. 🌰 In a nutshell: What A User’s Guide to Thought and Meaning is all about is a decidedly informal, full frontal assault on a truly abstract topic: the relation between language, consciousness, meaning, rationality, perception, and thought. It launches this assault on abstraction-writ-large and succeeds reasonably well in helping a non-specialist grasp abstract. While it’s not a great book—it lacks continuity and the chapters jump all over the map without the cohesion one would expect—it’s worth a look for sure. However, the consciousness that my brain produces is not directly observable to anyone but me. 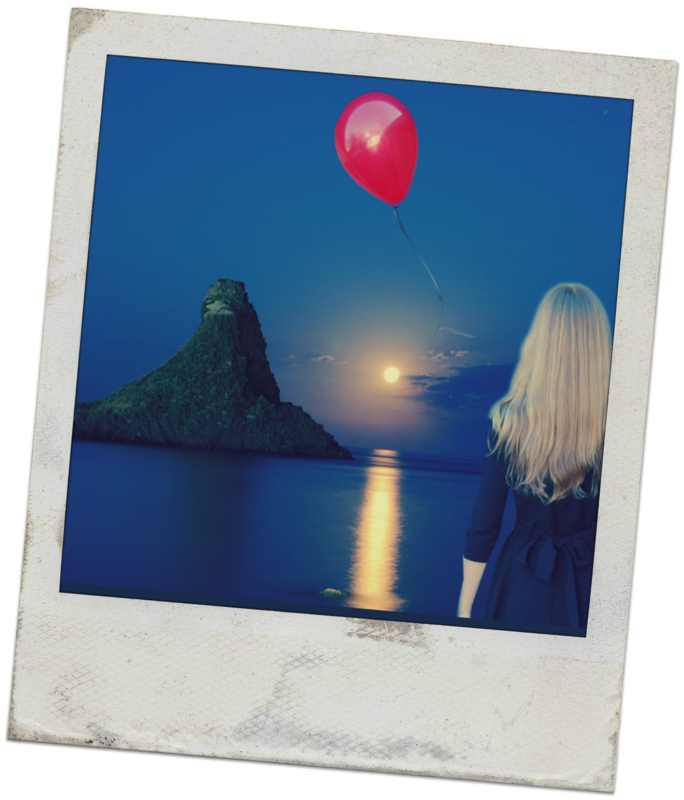 It is a property of my brain, like the circumference of the balloon, and any attempt to externally measure it will fail to capture it. Regardless, I know for a fact that it exists, observable or not. I will not accept any argument that it does not exist. Cogito ergo sum, “I think, therefore I am,” to quote the seventeenth-century French philosopher, mathematician, and scientist René Descartes. To deny that my consciousness exists would be to deny existence. If we deny that properties not externally observable are important, then we would be forced to conclude that consciousness is not an important property of the human brain. I’m not willing to do that. 22. 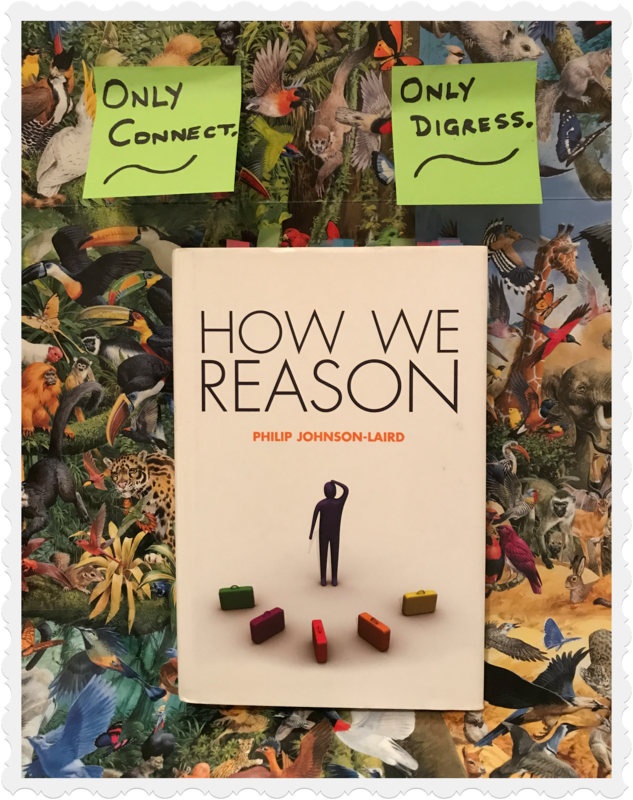 How We Reason (Oxford University Press) by Philip Johnson-Laird. 🌰 In a nutshell: This is the book you’ll want to read to dig deep into what makes our reasoning tick. 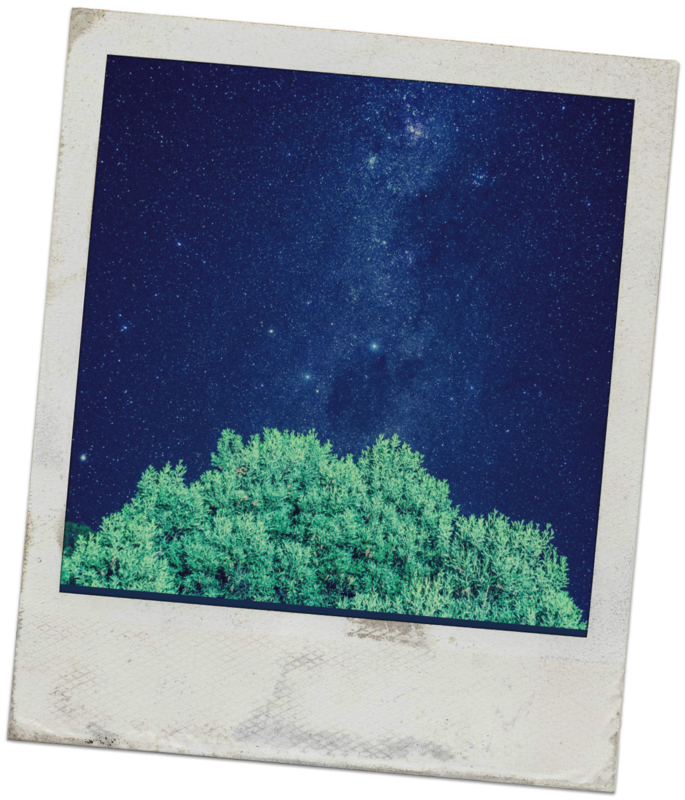 In other words, we can all reason from our childhood onwards, but how does it all happen? How We Reason has a good narrative going in laying out a bold approach to understanding reasoning. It challenges our commonly-held assumption that we rely on the laws of logic or probability. Oops, so we don’t? Read this book to find out why and how. It is difficult to reason about size when talking about infinity. In fact, Cantor spent 12 years attempting to prove that all infinite sets have the same size (Smullyan, 1992, p. 219). He failed! In the process, he developed a remarkable insight that I will use to show how much smaller the set of all computer programs is compared with the set of functions that we might be interested in implementing on computers. Consequently, although we can do an extraordinary amount with software, it’s nothing compared with what is possible if we do not limit ourselves to this smallest of infinite sets (italics mine). 23. 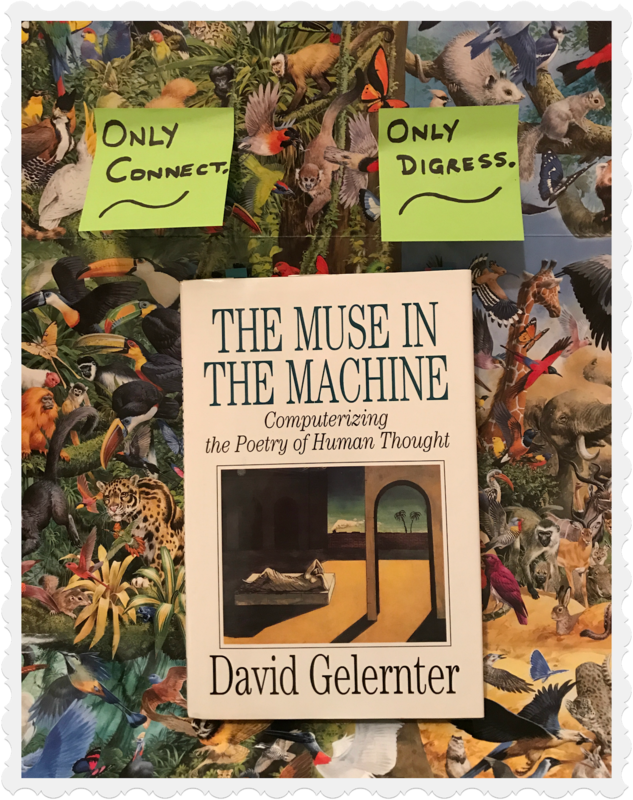 The Muse in the Machine: Computerizing the Poetry of Human Thought (Free Press) by David Gelernter. 🌰 In a nutshell: Brilliant-yet-incredibly-unevenly-written is one way to describe The Muse in the Machine: Computerizing the Poetry of Human Thought. It’s a wide-ranging exploration of a bunch of interesting themes such as whether we can introduce emotion into the computer? It attempts to bring together insights from computer science, cognitive psychology, philosophy of mind, and literary theory. I have to confess that I found the title of this book—The Muse in the Machine: Computerizing the Poetry of Human Thought—to be staggering in its possibilities. I mean the title is out of this world. And that’s also the tantalizing and somewhat annoying aspect of this book in that, while brilliant in places, it does not keep the telling of the story focused enough to make it a satisfying experience for the reader. 24. 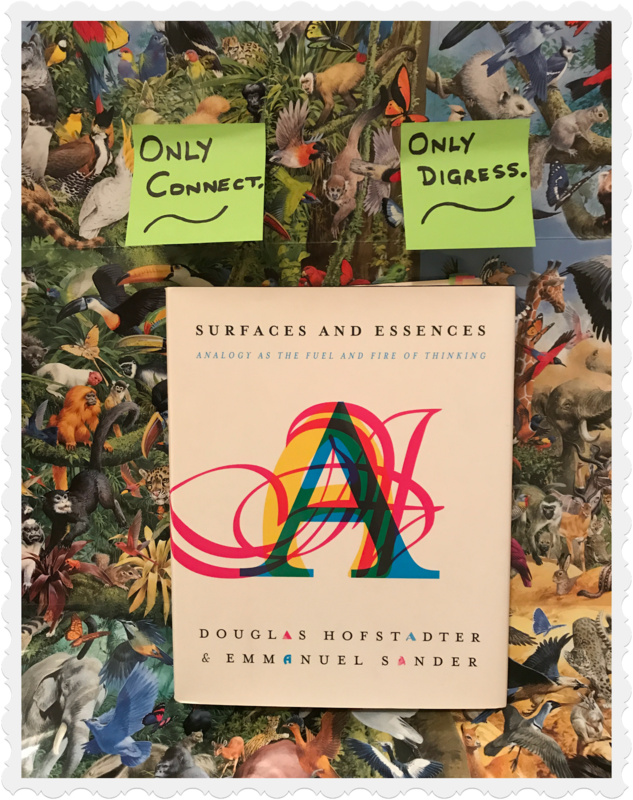 Surfaces and Essences: Analogy as the Fuel and Fire of Thinking (Basic Books) by Douglas Hofstadter and Emmanuel Sander. 🌰 In a nutshell: I love this book. What I’m going to say may border on sacrilege in the minds of some, and I would have found myself in that camp not so long ago. But that was before another book by Hofstadter (which he actually co-authored with Emmanuel Sander) hit the bookshelves in the year 2013. So my sacrilegious statement—if it can even be called that as I was simply hedging my bets by sounding polite notes of civilized diffidence in connection with would-be-sacrilege in the realm of technological wizardry—is simply that Surfaces and Essences: Analogy as the Fuel and Fire of Thinking is Hofstadter’s best book, yet. There, I said it, you all. This book demonstrates how analogy-making pervades our thought at all levels of our mental awareness and operations. This book will equip the reader with a new way of thinking about thinking. And here I’ll mention in passing another book that will knock you out in a similar way—equipping you with a new way of thinking about thinking—though in a different context: Making Education Whole: How Seven Principles of Teaching Can Transform Education (Jossey-Bass) by David Perkins, who is a founding member of Harvard Project Zero. He then observed that the number of levels in such hierarchical abstractions is small unless the “ratio between the largest and the smallest grain” is large. The number of molecules in a wall is very large, and yet Dijkstra gives us only four layers. 25. 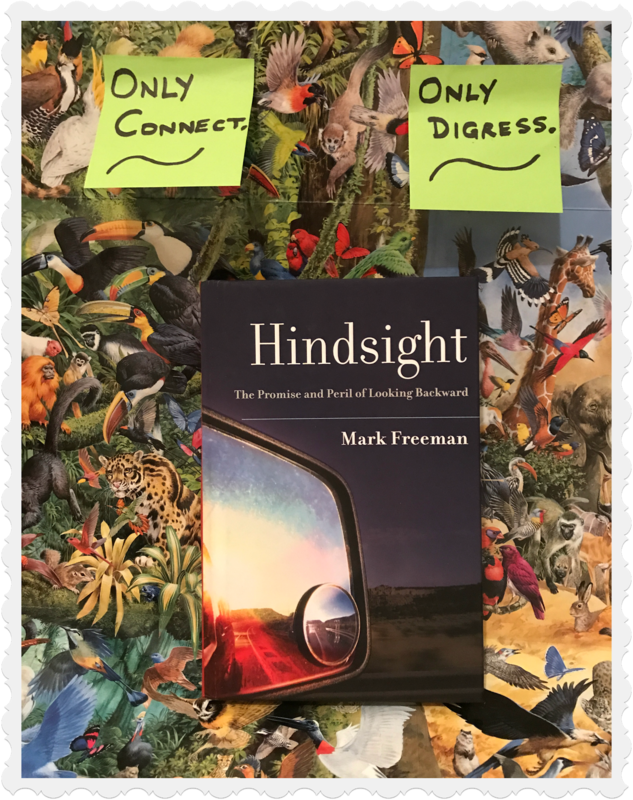 Hindsight: The Promise and Peril of Looking Backward (Oxford University Press) by Mark Freeman. 🌰 In a nutshell: This is an often-overlooked, yet marvelous book. It is rich in ideas, and I think you’ll find that in the pages of Hindsight, Freeman makes a genuinely impassioned—and convincing—case for recognizing why and how hindsight plays an integral role in the process of moral growth and, importantly, creativity. It is, after all, through the aegis of hindsight that there emerges the opportunity not only to see the possible errors of our ways, but to transcend them, thereby moving on to better ways of being in the world; in other words, the clarion call for creativity. Hindsight draws on psychology, philosophy, literature, and personal experience; it’s truly a wide-ranging book that has plenty of insightful and engaging explorations of the role of hindsight both in discerning the personal past and in deepening moral life, and creativity. 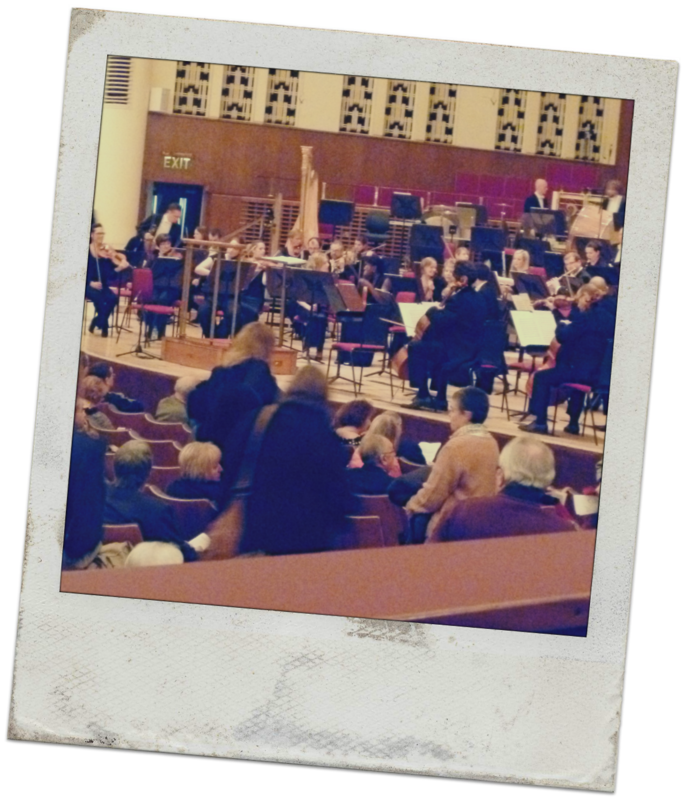 In case anyone noticed my ritornello above—ever circling back to a theme at regular intervals—which happened to be on the theme of creativity, that theme is prime territory for Plato and the Nerd, which, of course, is what this essay is all about. So as I learned during a fascinating class on music appreciation during my undergraduate years, a ritornello is simply a recurring passage in Baroque music for orchestra or chorus; okay, so while I have deep admiration for music, I’ve simply not kept up with the luscious classical music scene. Well, all that naturally leads to a consideration of creativity in the context of the book-of-the-moment (Plato And The Nerd) and in particular its telltale subtitle: The Creative Partnership of Humans and Technology. …The same questions arise with other brain functions, such as love, empathy, and understanding. Searle put forth a famous argument called the “Chinese room argument”: that no machine operating like a computer, following algorithmic step- by-step rules, can understand natural language. Time To Stop, Or Is It? 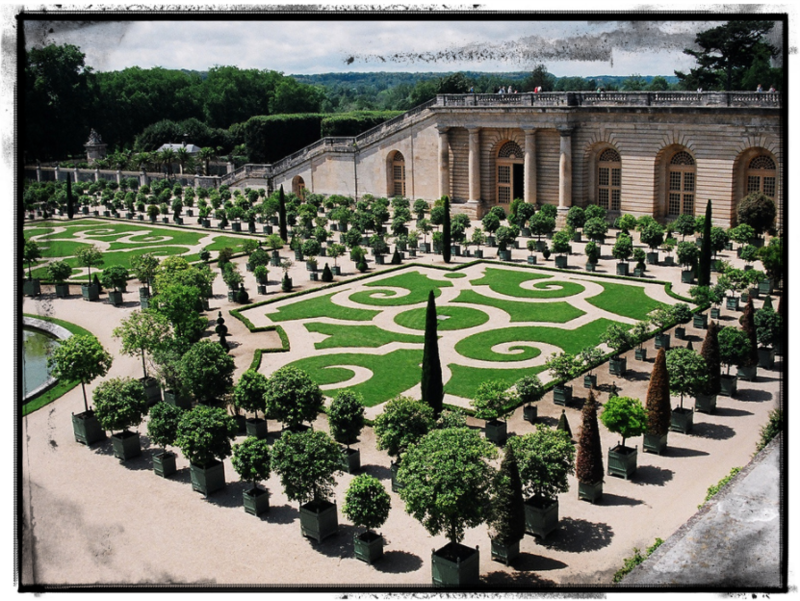 Then, with a blush, she added,”Alas for my credulous fancy! Speaking of passages—poetry, prose, computer code, equations, symbolic math, you name it—that grip your imagination, changing your worldview irrevocably and for the better, are, alas, altogether too few and too far between. …specialists know more and more about less and less, until they eventually know everything about nothing. Then they become professors, and the courses they teach become barriers, weeding out unsuspecting undergraduates who simply aren’t prepared for the sophistication of the specialty. The professors love their specialty, they want to teach it, and they cannot see that it is esoteric; the arcane and complex analytical methods they have developed are neither easily learned nor easily applied to practical problems. Their discipline fragments into further specialties, and each professor loses the big picture. 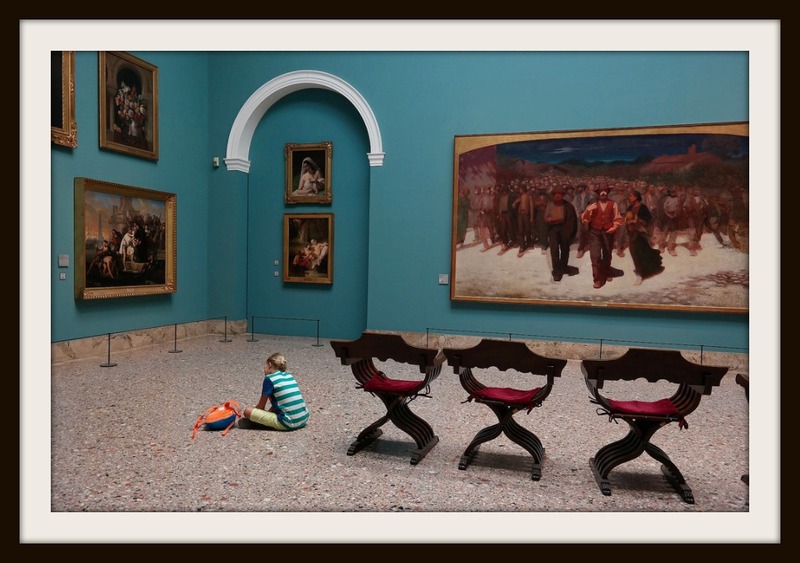 None is qualified to teach the big picture, and anyway, his or her colleagues would consider any such big picture to be “Mickey Mouse,” too easy and unsophisticated to be worthy of their time (italics mine). The Gang-of-Four celebrated the tenth anniversary of the publication of ‘Design Patterns’ last year at OOPSLA 2004. Three of them, John (sporting the propeller), Erich (wielding the knife) and Ralph are shown here preparing to eat their words. John was the OOPSLA 2004 Conference Chair, and had made the trip to Vancouver at the price, we later learned, of having had to forego chemotherapy for a week. John is shown still in costume for his role as “Jimmy the Freshman” in “Dating Design Patterns”, a skit that I had warned him might seriously undermine the dignity of the entire conference. John replied “What dignity?” For good or ill, this lesson has stuck with me. John had a self-effacing sense of humor to go with his genuinely contagious intellect, a rare combination indeed… (italics mine). So as I had hinted at in the previous essay—where I had made mention of spurring myself on to wrapping up the essay with the emphatic reminder-to-self that “Real artists ship, Akram, real artists ship! 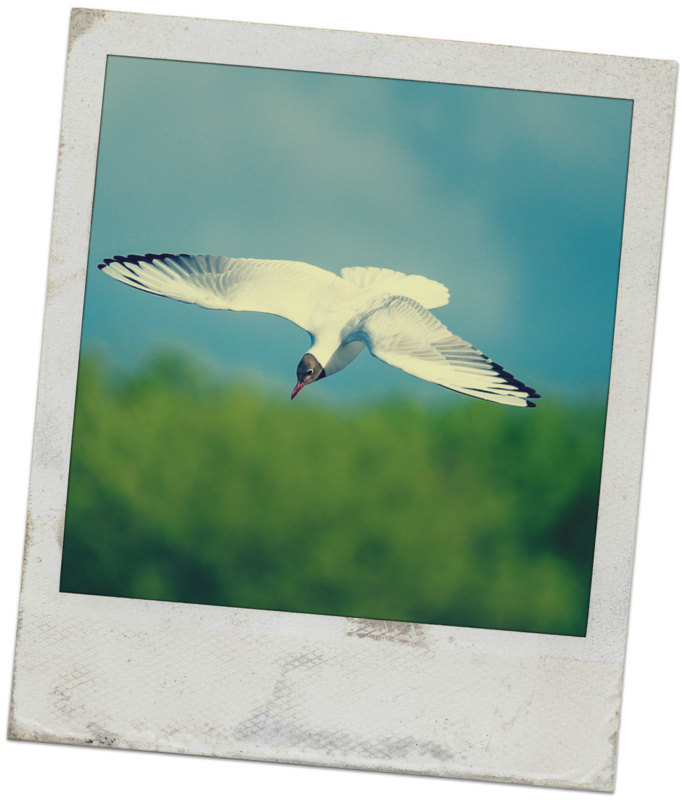 Okay, okay, I know my birds from my bees, you all, solicitous souls that you all are; it’s just that I can’t find the darned icon for a bird with which to illustrate the point about a bird’s eye view. Meanwhile, please allow your imagination to be satisfied—for now, anyway—with the bumblebee, won’t you? 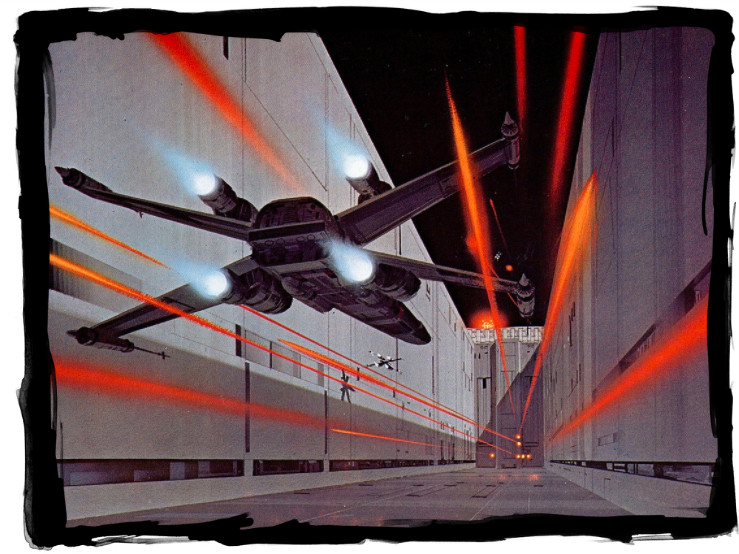 So in drawing a parallel—nope, not the Euclidean kind—between those two themes, consider how the Star Wars prequels came after the sequels? Methinks that something similar might be in the offing here for Plato and the Nerd, though hopefully in not too distant a future. Was the book Plato and the Nerd perhaps the sequel, with the prequel lurching in the mind of its author, Edward? Much as I promised you all in a comment to an essay elsewhere, I’ve plucked up the courage to lobby Edward—via this concluding thought on our Programming Digressions forum here—for a second book which will elaborate on the tantalizing themes covered in some depth already, and with awesomeness, in Plato and the Nerd. Indeed, we stand not with Plato—as he stood in that fresco by Raffaello Sanzio da Urbino (Raphael) in the Vatican—gesturing toward the heavens (“indicating that knowledge is discovery of Forms that exist in an ideal, disembodied world, independent of humans”, in Edward’s words). 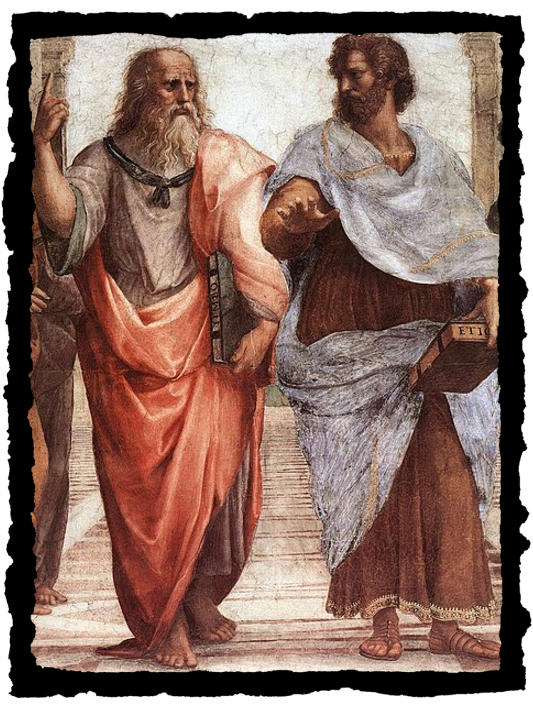 Rather, we stand alongside Aristotle—yep, the other smart dude standing next to Plato in the same fresco above—gesturing toward the earth (“indicating that knowledge arises from the study of things”, in Edward’s words). Anyhow, in full disclosure, I’m decidedly not a language lawyer, though I do commune with the language of computer code most all day long, on most any given day 👕 With that disclaimer of sorts out of the way, I wonder if we’ve got yet another genuine dilemma on our hands and not mere hair-splitting? The hope which abides with my collage above is that it’ll inspire and propel you to learn more, to build bridges as far as the horizon of your imagination lets you, and that you truly will keep it going from there. It’s all up to you! Typically, I don’t add my own opinions to the Collage section each in any given essay; this time it’s different. Here’s why. As I was scribbling down my, um, laser-focused thoughts—”Akram, Akram, fess up, they’re all digressions!” I hear some of you say—I was listening to a song by Mark Knopfler (this one actually a duet called Beyond My Wildest Dreams, featuring Emmylou Harris). And then a fragrant analogy came to mind, one that perfectly illustrates a point I was trying to make about Plato and the Nerd earlier! I seldom, if ever, dedicate an given essay to an individual. 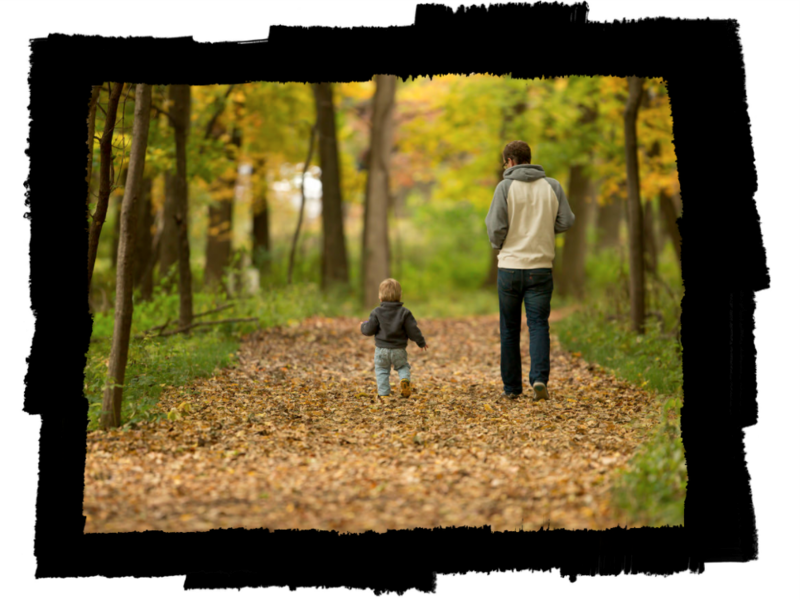 In fact, the only essay I recall ever having dedicated to an individual was the one—and actually not too long ago—that was for my dear wife to express my gratitude for her profound influence on what I do on a daily basis. She is the best thing that ever happened to me. This essay, now, is also special in that I’m dedicating it, with great respect, to another individual: Kitty Fassett (Mom of the author of Plato and the Nerd). To my mind, Ms Fassett has clearly earned this dedication through the major role that she has played in the development of Plato and the Nerd. Allow me to elaborate by way of the following thoughts with which I dedicate this essay to her. In essence, my dedication goes something like the following. But first, allow me to point out that in order to distinguish the Dedication section from the essay proper, I’ve sandwiched the Dedication between—and then peppered it with—a bunch of thematic pics that I’ve culled after much thought and deliberation, following which I embedded them in vintage Polaroid-inspired borders. Yes, I’m nuts about details 🌰 It’s the details that matter, I am wont to tell myself from time to time, it’s the details. But the impact is far larger than that, far larger. I have no doubt whatsoever that Plato and the Nerd will leave its mark on the world’s collective consciousness unlike any other book quite has; that process has already begun to unfold and it’s only a matter of time now. The dialogs which Plato and the Nerd is generating, of which this series of essays—and which I truly hope you will make the time to read—is merely an echo of the faint murmurs of those unfolding dialogs. The indelible imprints of “a true intellectual and also a great writer” (in the words of the “Acknowledgments” segment of the Preface to Plato and the Nerd) are writ large on its pages. It’s my hot favorite these days, having earned a spot on my tiny, super-select desert island books. Your son, of course, is an intellectual of the highest order in his own right, imparting his engineering know-how and wisdom to fellow Americans—and indeed to student from all over our planet—at a fine university in our great land. Indeed, I continue to see to this day—as I reread Plato and the Nerd—remarkable flashes of the ritornello construct throughout the narrative. Again, far be it from me to proffer metaphors from your field of expertise; after all, you are “a professional musician with an aversion for mathematics but a true intellectual and also a great writer (again, that’s in the words of the “Acknowledgments” segment of the Preface to Plato and the Nerd). In this very essay, in fact, I’ve somehow managed to slip in mention of “mathematical loveliness”—in the Trojan Horse of a guise of a vignette of the book entitled The Shape of Inner Space: String Theory and the Geometry of the Universe’s Hidden Dimensions—perhaps unbeknownst to you 😯 I says, yes, says to myself, Akram, Akram, slap on your wrist for doing that! How could you? Gulp, what’s done cannot really be undone, can it? Finally, to bring closure to this thought, when I had most recently chatted with Dr. Saeed, he was telling me about Jay Forrester’s operational approach to economics and the paper he wrote on precisely that topic. Wait a second, what in the world do they mean by that? Hey, no, just tell me, you persnickety reader out there—as for you, Ms Fassett, please bear with me for just a sec while I take care of those rabble rousers who are raising this ruckus—you there, yeah you, Do you want me to talk louder or something? I mean, what is it with you and your ilk of bellyachers that you are demurring about now?! “Along with composers, architects, and writers, what hackers and painters are trying to do is make good things.” (italics mine). Indeed, we nerds do end up pursuing the endless frontier that stretches into the distant horizon, and in the process we stretch ourselves to our limits. Thank you for your support. This world wouldn’t be the place it is without you all; being the geek that I am, reflexively thinking things through to their logical conclusion, pardon me as I can’t help but remark that we all, nerds included, wouldn’t be here in this wondrous universe in the first place without you all. Period. 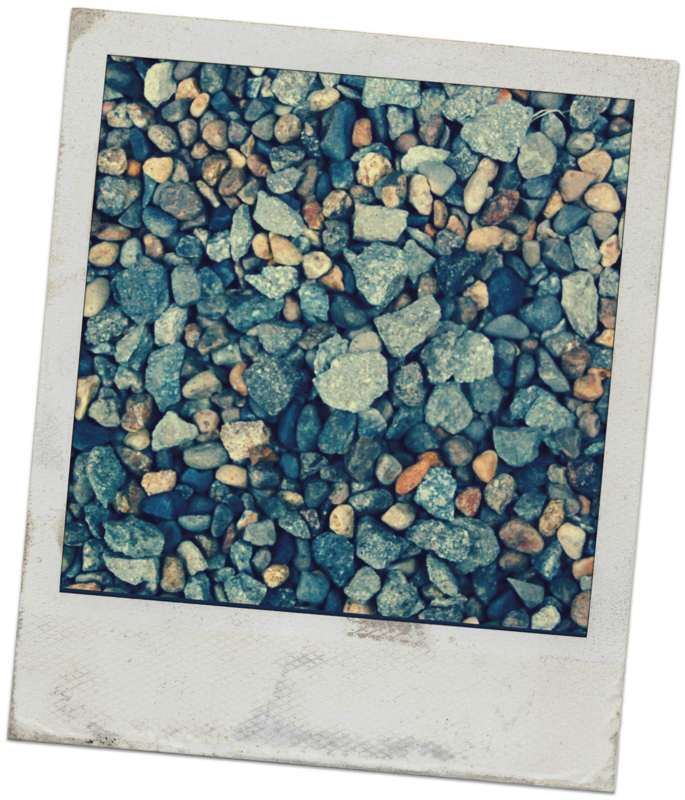 It is in the hard, rock-pile labor of seeking to win, hold, or deserve a reader’s interest that the pleasant agony of writing again comes in (italics mine). – Now that is far too brief a reply—i.e. what I hurriedly said in my response above—is what I was thinking to myself after posting my response…- So I'm back to add a couple of thoughts to my admittedly hurried response :-)- But first, I wish to thank every single reader who has taken the time to read the essays posted here, which I post typically once a week (every Sunday). – I wish to especially thank every single reader who has made the effort to post a comment or two. 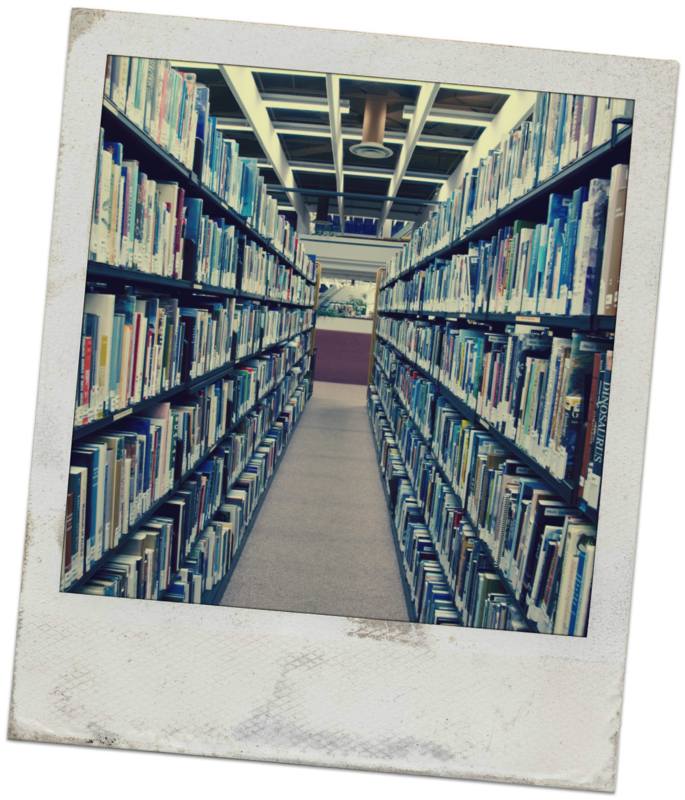 – We all have a lot of fun here in our reading community that is Programming Digressions. 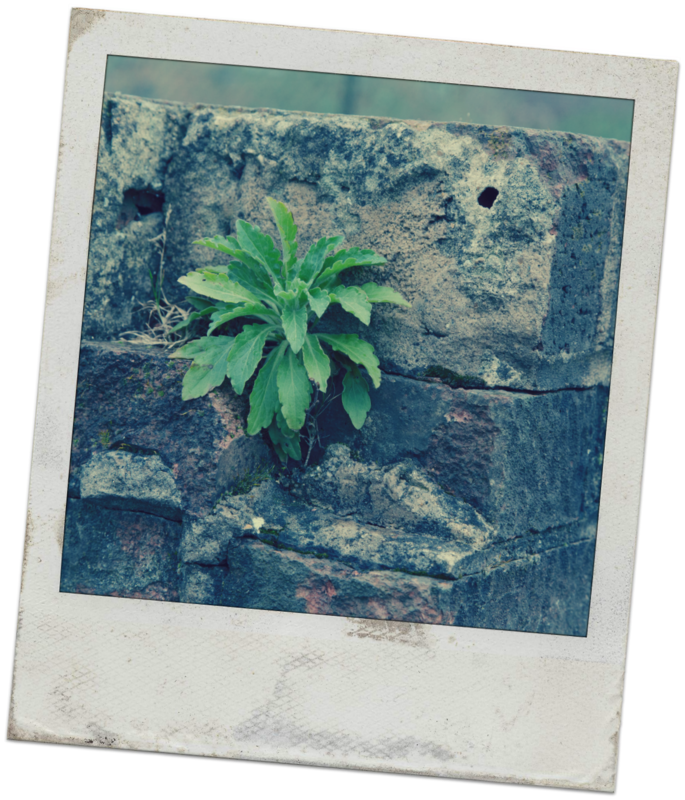 By the same token, in fact by that very token, we're very open and sharing, helping one another grow in our life journeys… – And it's with precisely that thought in mind that I wish to add two additional thoughts. 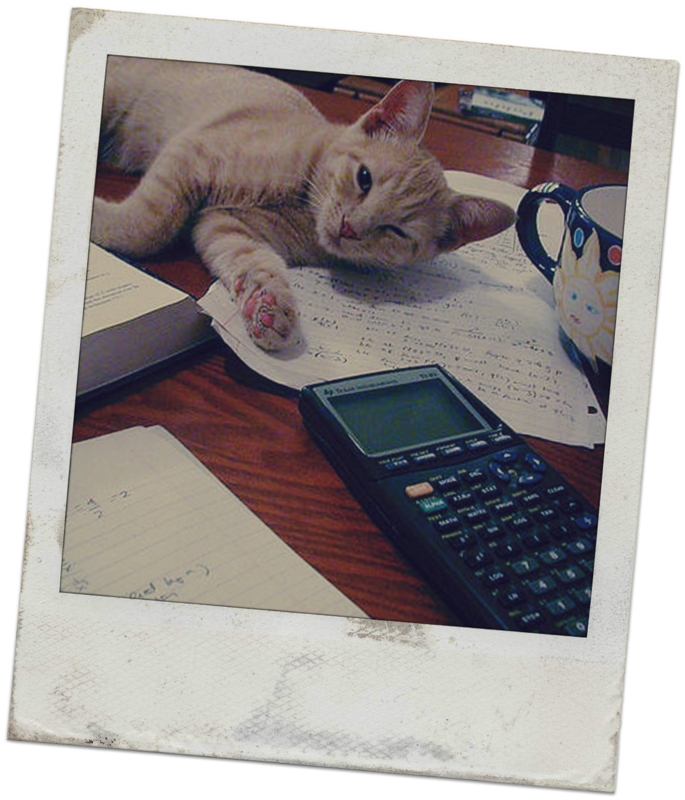 They are as follows:- In addition to being my time-management coach, Elizabeth is a great friend and supporter as well—in fact one of the most loyal and enduring supporters of this blog that we affectionately know by the somewhat flippant name: Programming Digressions. Elizabeth, your genuinely original work continues to inspire many professionals, myself notably included!- Speaking of which, and rather than rehashing here all that I've written to elaborate precisely that theme—since I've already summed that up elsewhere with what I trust is a modicum of coherence—of all the LinkedIn recommendations that I've ever written, there are two which truly stand out in my mind.- Here, I'm simply adding a link each to those two so everyone interested in further details can read up more. The world needs to know, and I want to do my bit to spread the word:-  The groundbreaking work of my time-management coach: Elizabeth Grace Saunders!–  The extraordinary vision and paradigm-changing contributions of my mentor, the gracious giant the software industry knows well: Jonas Bonér!– Folks, make a note of the two names above. You really need to — Ignore their outstanding work and contributions only at your own peril! – Since a majority of Programming Digressions readers—the thousands who come here every month—are predominantly tech-savvy, I trust that the second name that I mention above, that of my mentor (Jonas Bonér), likely needs no introduction whatsoever…- Jonas is another great friend, supporter and, as I said, my mentor. He is the Founder & CTO at Lightbend. His contributions to our industry are far too many to even try listing them here, which is why I intentionally supplied the link above so you can look up details at your own leisure. 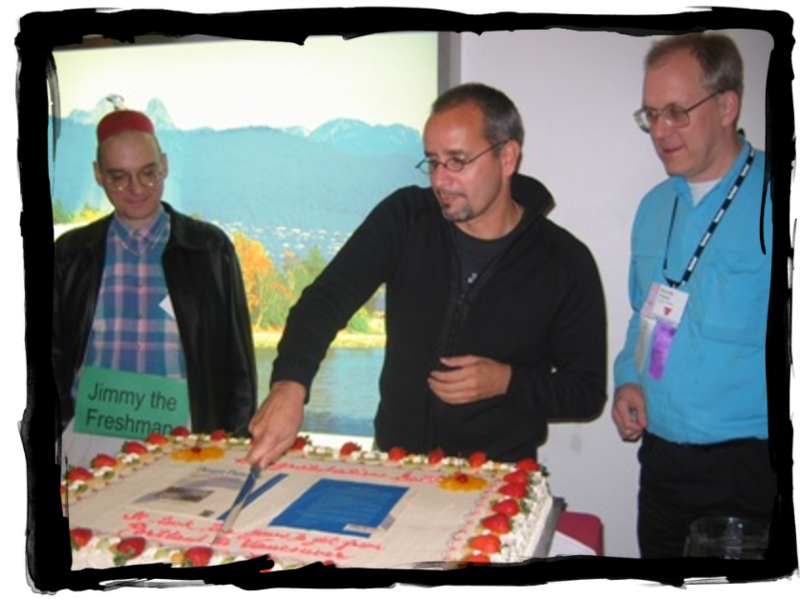 – Among the ton of his contributions to our industry are that Jonas created the Akka Project and the AspectWerkz Aspect-Oriented Programming (AOP) compiler, etc. etc.- Lady and gentleman, I salute your absolutely amazing work—You're truly making the world a better and more exciting place to live in! Your passion and dedication towards writing clearly shows in the thoughtful responses you provide. 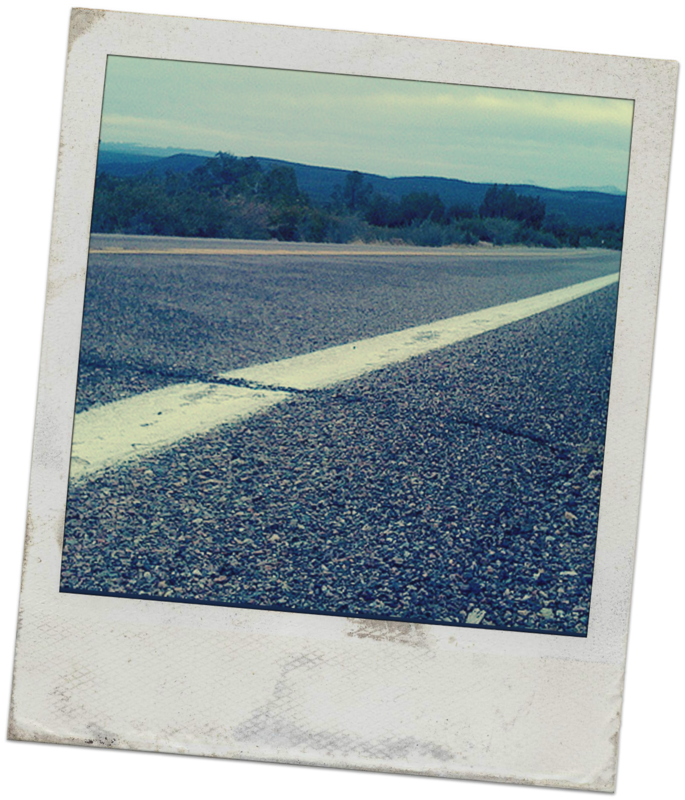 Lots of insightful posts, and I've barely scratched the surface! Very nice post. I just stumbled upon your blog and wished to say that I have truly enjoyed browsing your blog posts.In any case I will be subscribing to your rss feed and I hope you write again soon! Hello there! I know this is kinda off topic but I was wondering which blog platform are you using for this website? I'm getting sick and tired of WordPress because I've had issues with hackers and I'm looking at options for another platform. I would be great if you could point me in the direction of a good platform.